It’s now March and though time seems to be flying, I couldn’t be more excited that Spring is right around the corner. In honor of the upcoming season, I decided to round up a few trends that I think we’ll be seeing quite a bit of this year. 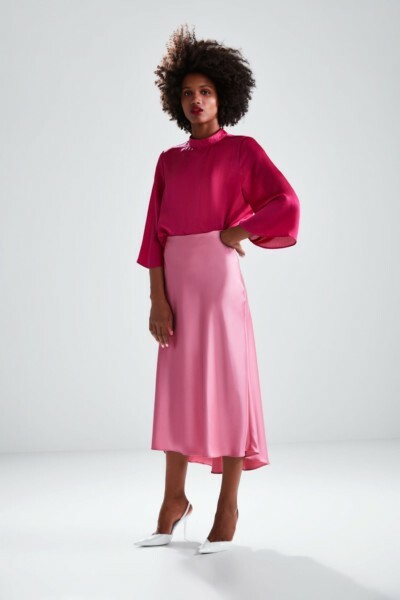 While slip dresses seemed to be the catalyst for the satin trend and are still wildly popular, skirts as well as blouses are easily rivaling the frocks, and I don’t think we’ll be seeing silky fabrics disappearing any time soon! 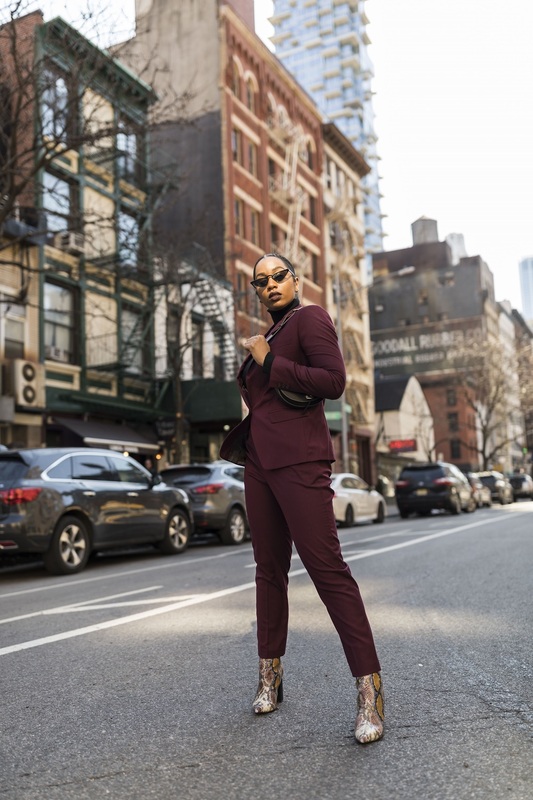 With bold saturated color seeming to be a trend in itself, its no surprise that it’s made it’s way to workwear. Bright colored suits and co-ords are definitely something I personally look forward to seeing more of this year and I’m sure my collection will grow because of it! 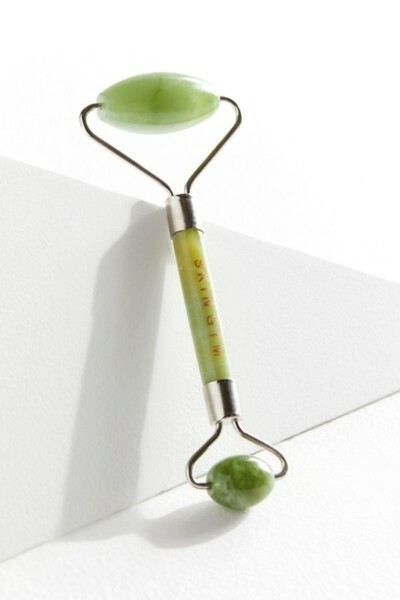 An unexpected shade that has really made it’s mark on the runway and on fashionistas everywhere has been “pistachio.” I personally don’t own many items in the green family, but this particular hue is so versatile whether paired with neutral earth tones or bold prints, I’m definitely intrigued and excited to give it a try. 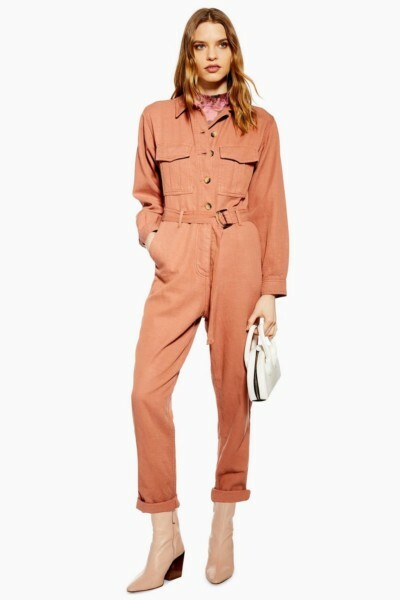 Lastly, a trend that sparked earlier in the Winter season and I think will continue to flourish is boiler suits. It’s an easy all-in-one outfit and with the right accessories can easily be elevated or worn casually to perfection. Let me know in the comments which trend is your favorite or if there’s one you’ve seen that I did not mention. Until next time! 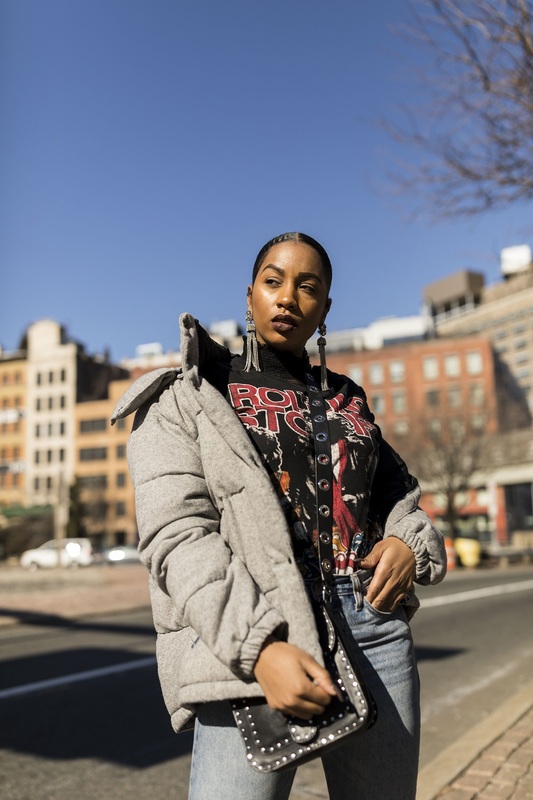 While it would be nearly impossible to showcase all of the footage I captured this season during NYFW, I wanted to pull some of my favorite photos together to get a BTS feel of this hectic week. 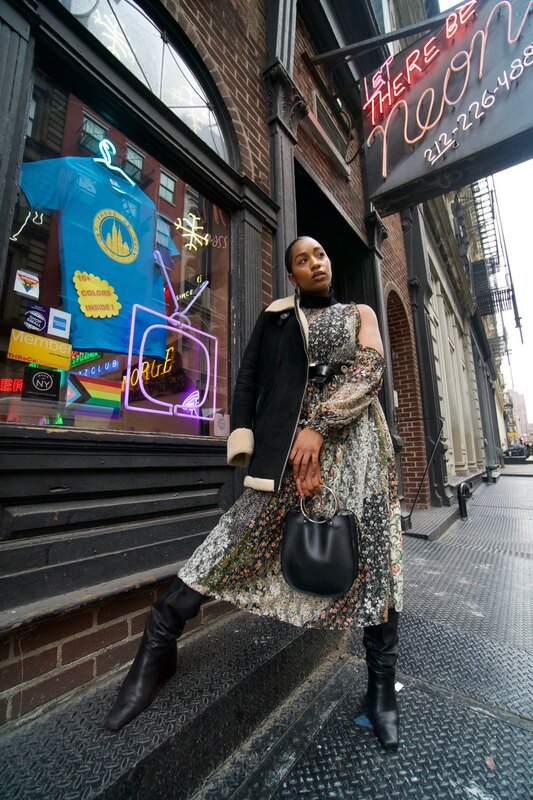 Because I’m still balancing a full-time job, I decided to start slow, and ease my way into the festivities with a night of socializing and shopping at Mejuri in Soho. This charming jewelry store, is full of every dainty, delicate, and modern accessory one could imagine! 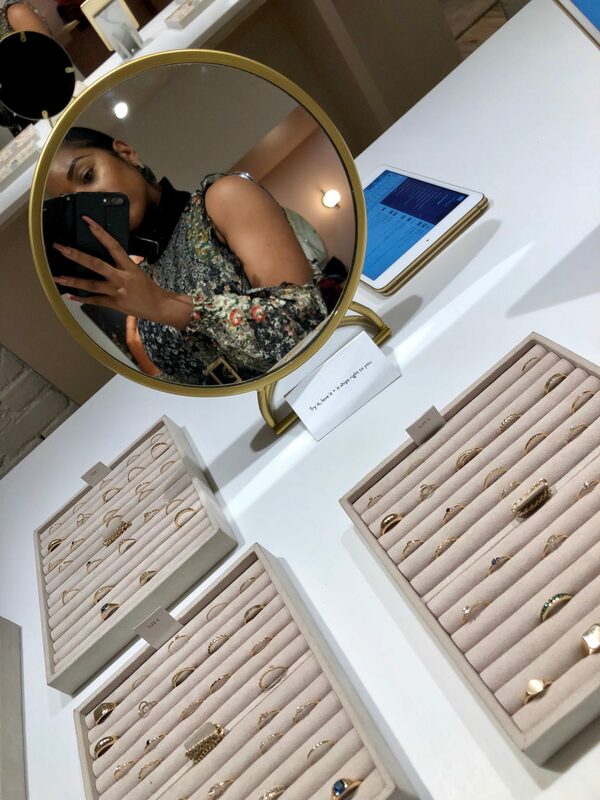 By the end of the night, being a person who typically gravitates towards simple everyday pieces, I had definitely taken note of a few midi rings I could stack as well as timeless earrings that could add a subtle touch of interest to any ensemble. The second day, I kicked things up a notch and attended my first collection of shows. 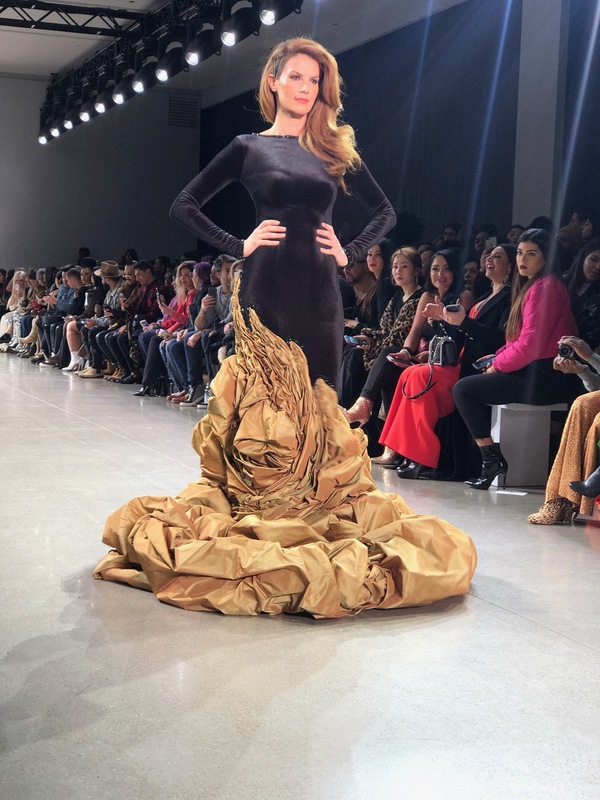 What I like most about these runway presentations, is that they showcase different designers and allow the viewer to really get a sense of each designers’ inspiration. 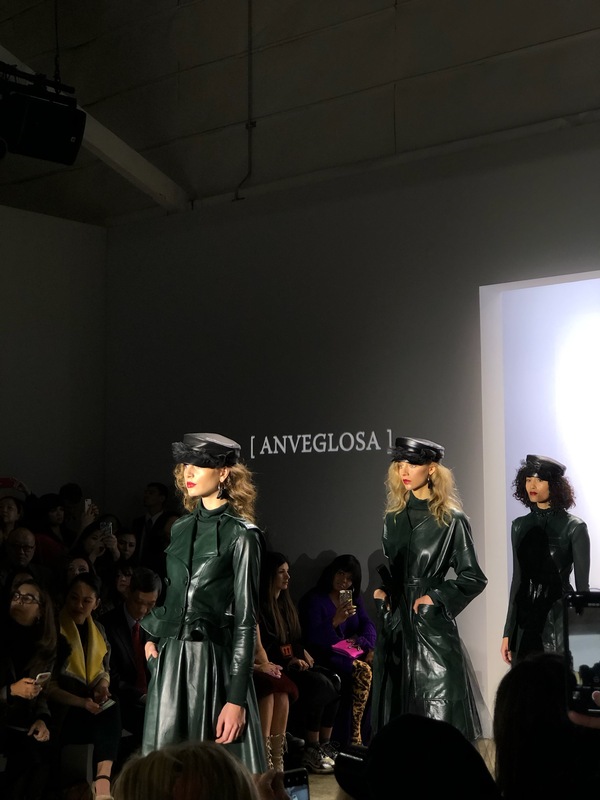 Bright colored outerwear and tailored garments definitely seemed to be a theme across the board; however, the combination of military structured garments and feminine silhouettes had to be my favorite! 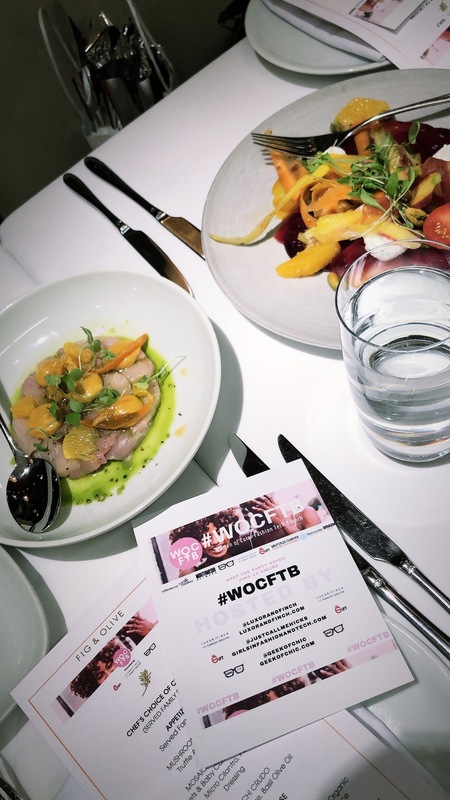 Day 3 was a fun one as I started my day with a networking brunch that brought together women of color in the fashion-technology space. After listening to the panel and doing a bit of mingling on my own, I truly felt uplifted, inspired, and more motivated than ever! Once the afternoon had come to an end, it was time for a few more shows. 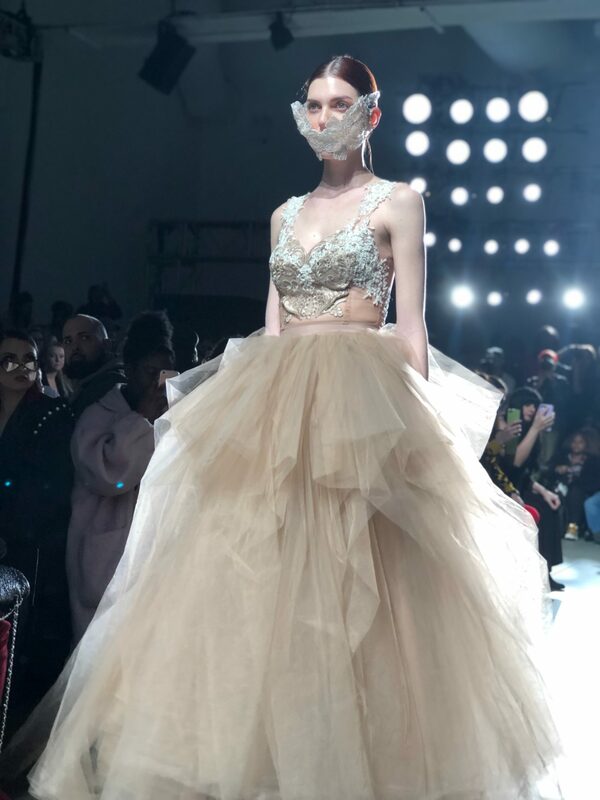 By far, my favorite collection featured more avant-garde pieces where the designer paired lace masks with embroidered gowns, truly bringing an unexpected edge to formal evening wear. This was by far my busiest day. I had back to back shows and was literally running all around the city from 1pm-9pm. The highlight of this day was seeing Hakkan Akaya. 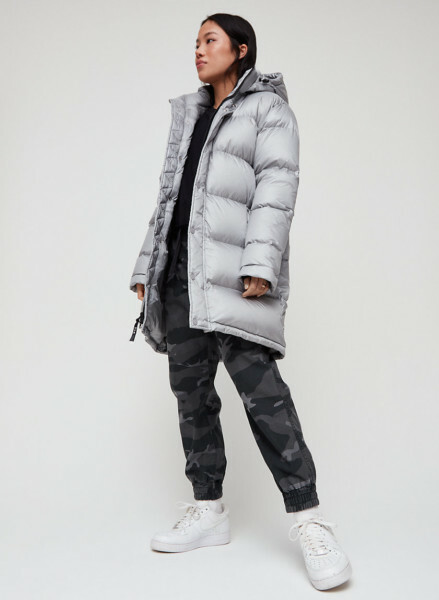 I always love the gritty, “punk rock” elements this brand brings; but this year, they seemed to take their designs in a slightly different direction with more futuristic pieces as well. 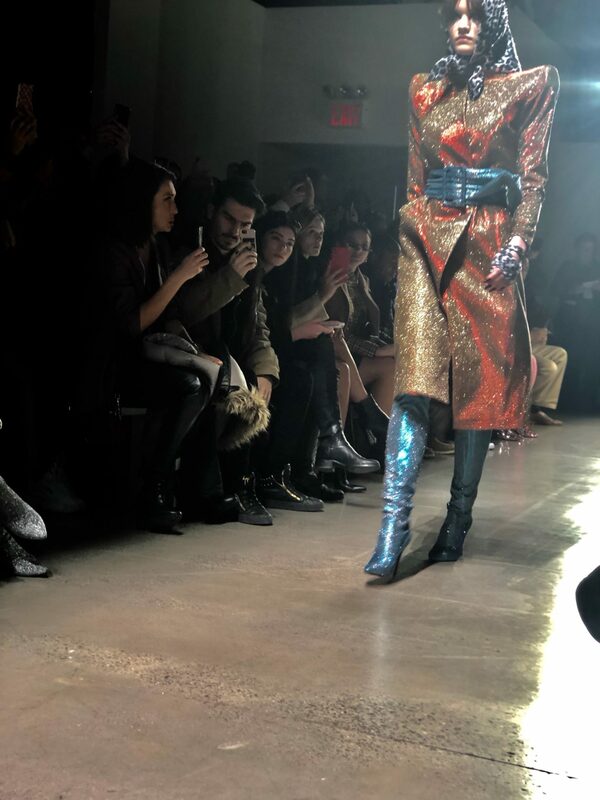 The strong shoulders, colorful metallics, and studded jumpsuits, definitely made this show one of the most exciting to witness. I also got a chance to go backstage at Pier 59 and capture some of what goes on minutes before the shows start. 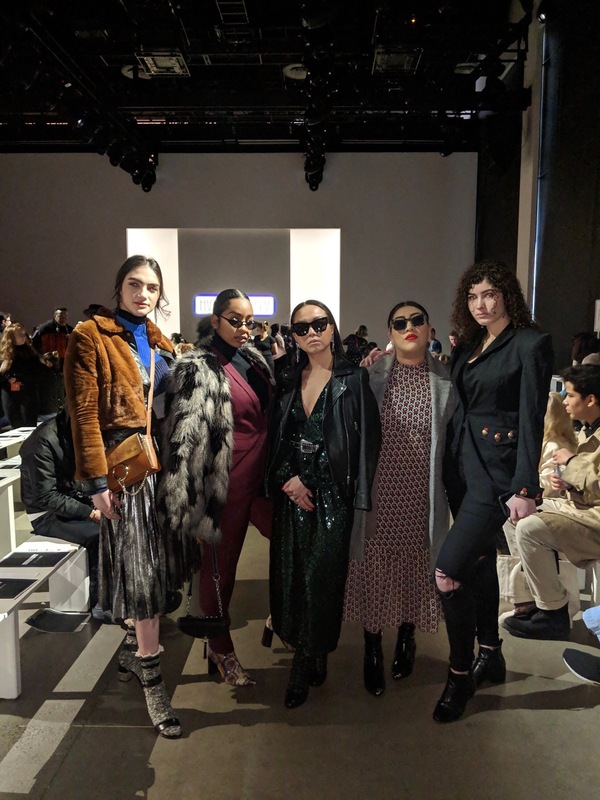 There always seems to be a “calm chaos” in the air, coupled with dozens of people scrambling to steam garments, finish hair & makeup, and make sure the model line-up is correct—but what else would you expect from NYFW?! 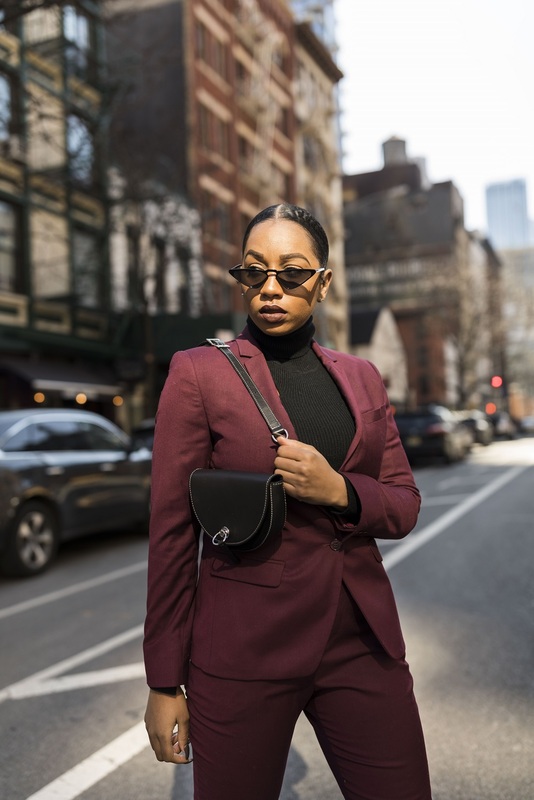 Fashion week is one of the most exciting and hectic times of year, and being that I’m still balancing a 9-5, I must be strategic with how I spend my time. 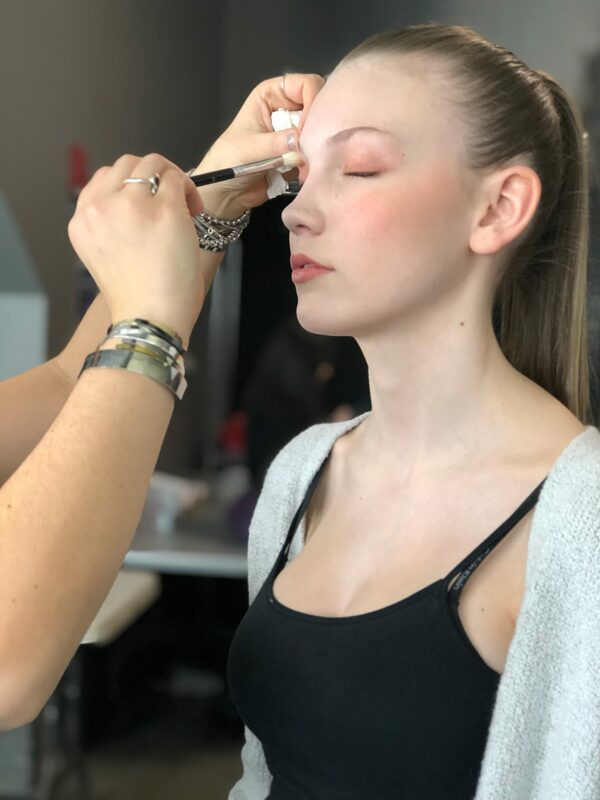 Getting to as many events and shows as possible is always my focus so that leaves little time for showroom appointments and fittings. 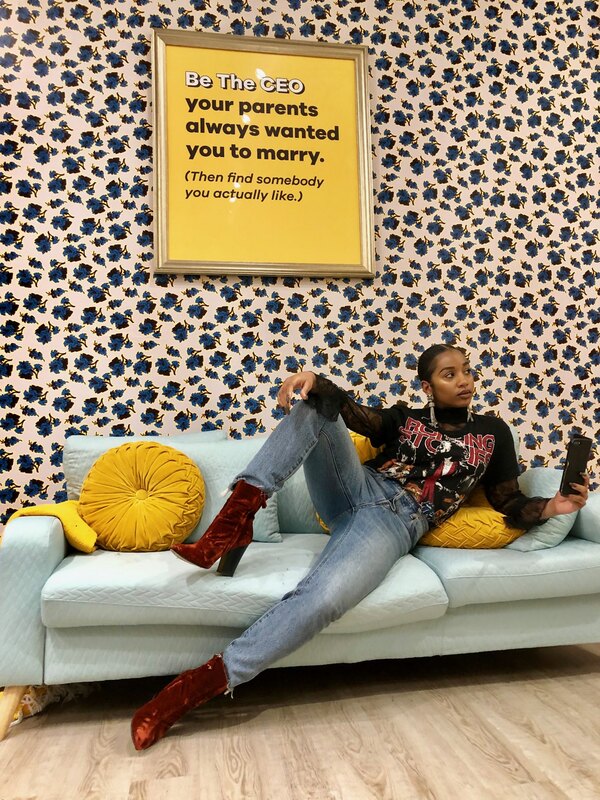 That being said, it’s no secret that being a style blogger, I shop a lot more frequently than the average person and because of that I usually have no problem finding garments from my closet to wear during this time. 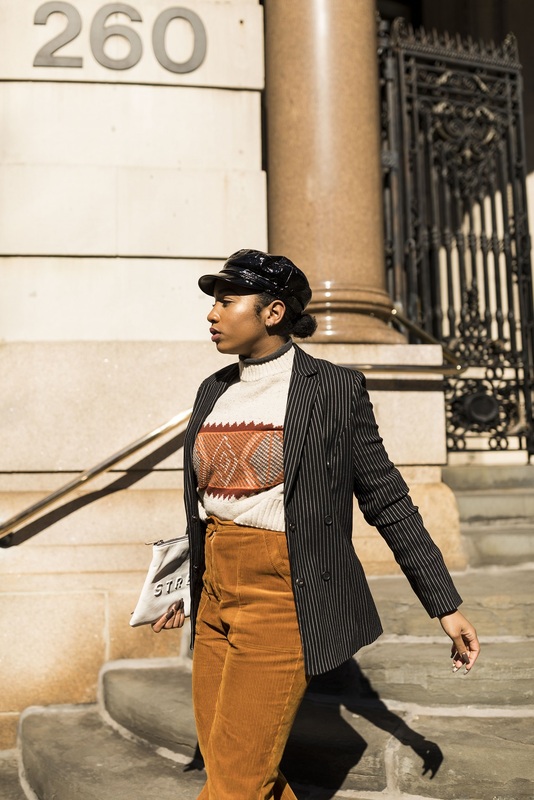 My strategy, outside of pulling pieces I haven’t worn in a while or outside of a shoot for my blog, is to create looks that are just slightly more intricate than what I would put together on a “regular” day. I don’t like to go too far outside of my personal style, but rather enhance the things I love and make it a bit more dramatic. 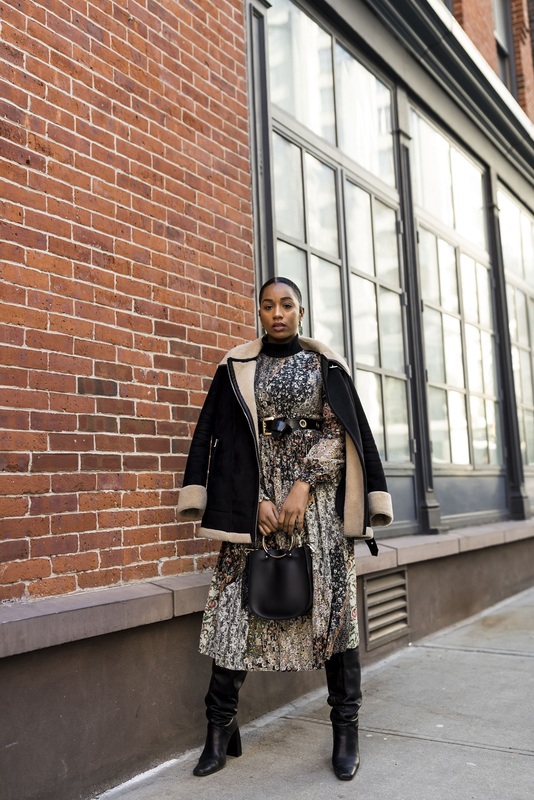 Depending on your methods of transportation, dressing for the weather may not be a huge priority, but I definitely try to be mindful of it especially for the Fall/Winter season. For my first ensemble, I decided to pull a dress that I honestly haven’t worn in at least a year. I forgot how much I loved colors in the floral pattern, along with the lace overlay, and cutout shoulders. 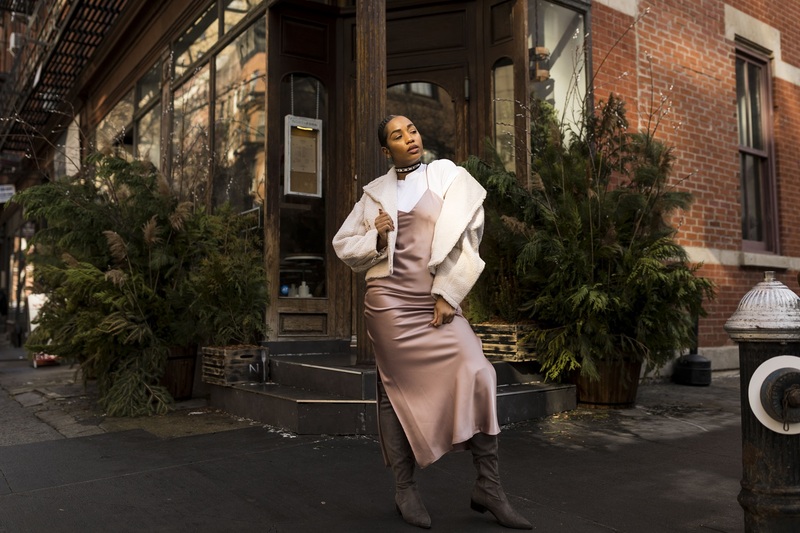 For added dimension, I layered a sleeveless knit turtleneck under the frock and used a belt to cinch the waist creating the shape I desired. 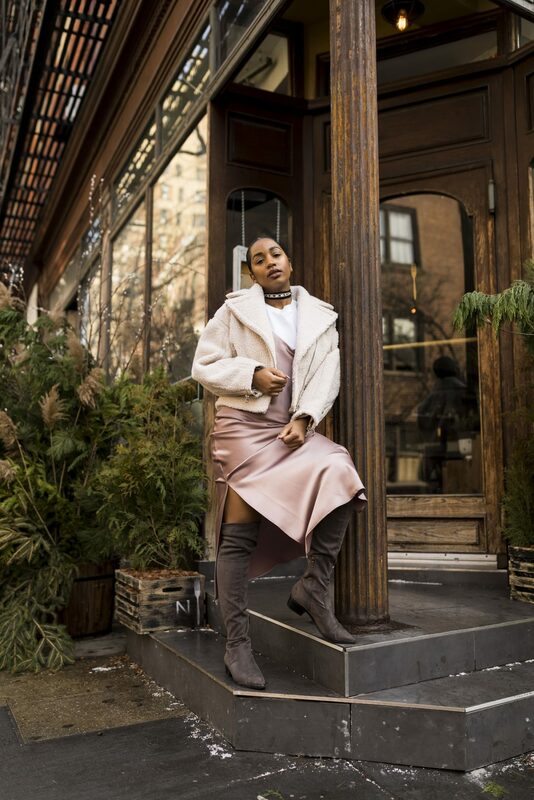 To complete this look, I threw on my chunky thigh-high boots, and grabbed by suede and shearling coat for an extra layer of warmth. The green and gold earrings I selected beautifully complimented the tones in the overall look, and with my ring handle bag I was out the door and on my way! 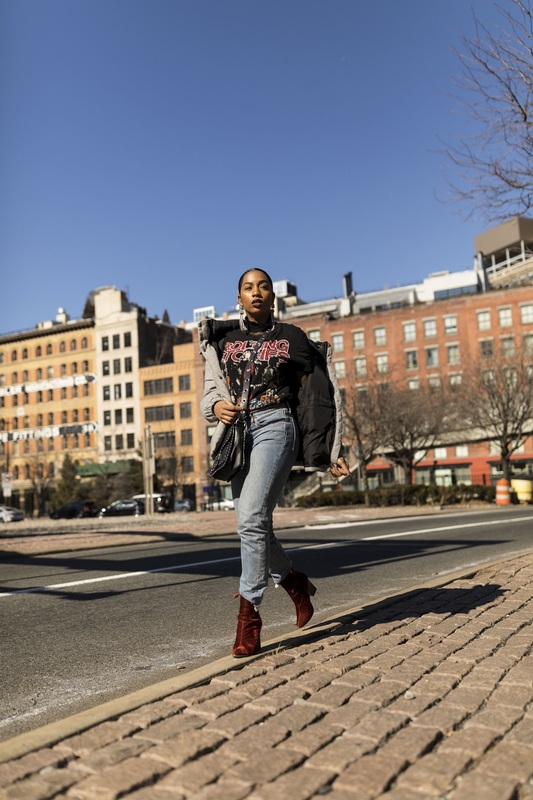 I was pleasantly surprised on the second day, as a warm front rolled in and I was able to leave the house without an overbearing piece of outerwear. I still continued to play things safe, however, as I didn’t want to risk getting sick. I decided to layer a thin grey turtleneck under a chunkier cream version with a bold Aztec-like print across the chest. 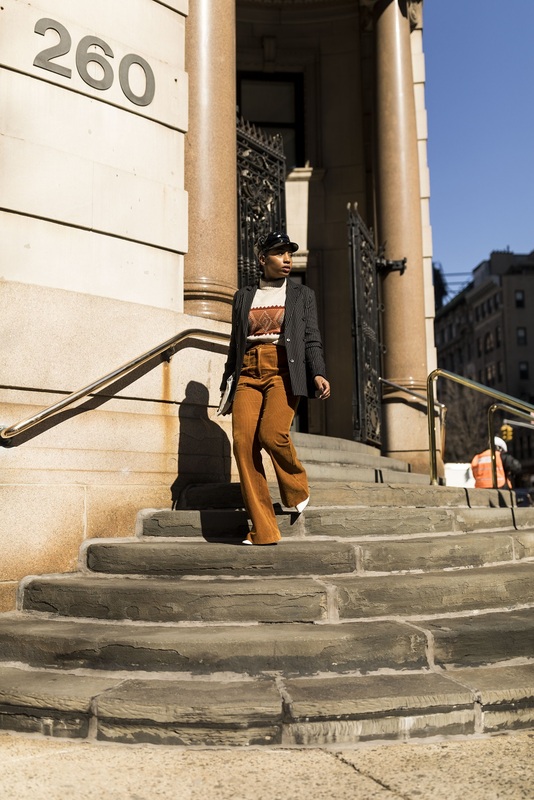 I then continued to play off of those warm, rich, colors with a pair of wide-legged corduroys in a similar hue. To bring a more classic and tailored element to the ensemble, a pinstriped blazer seemed like the most obvious choice. For accessories, I chose a black and white heeled sandal, a leather slogan clutch, and my favorite (and only) vinyl baker boy cap. For me this look was all about the combining of different textures and I loved how it turned out. By day three I was really on a role and had been absolutely loving all of the outfits I had created thus far. I recently received this tailored boiler suit in the mail, so it was only a matter of time before I reached for it. 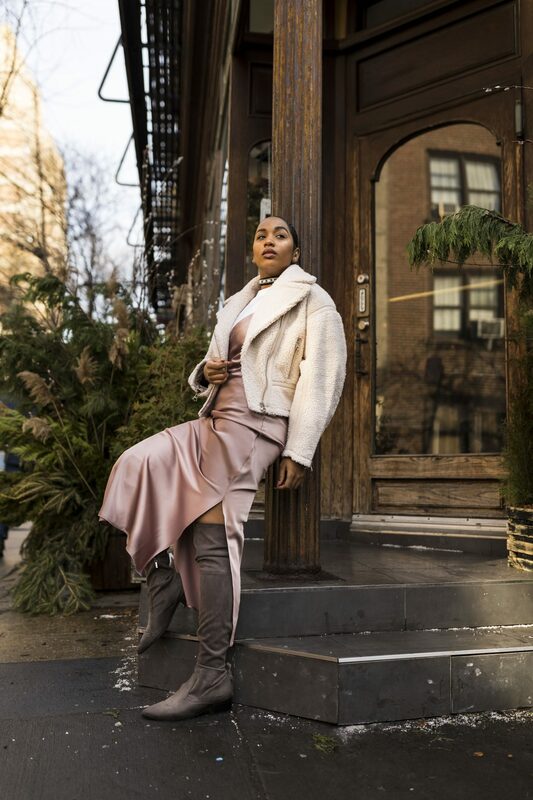 This look was all about the neutrals, however I still wanted to make sure every piece had its own moment to shine. 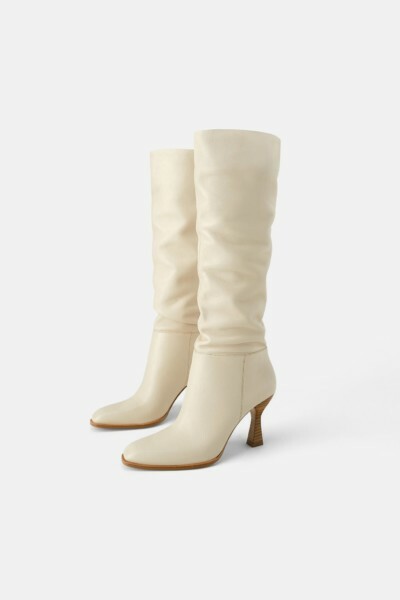 Again, I grabbed another turtleneck to layer with and continued to brighten the look with my cream-colored calf boots which I am absolutely obsessed with. Remember when I mentioned dramatics?? Well, this was the day I chose to go over the top and bring out my giant teddy coat. This truly was the perfect day for it as the temperatures had dropped again and running from show to show was becoming slightly unbearable. 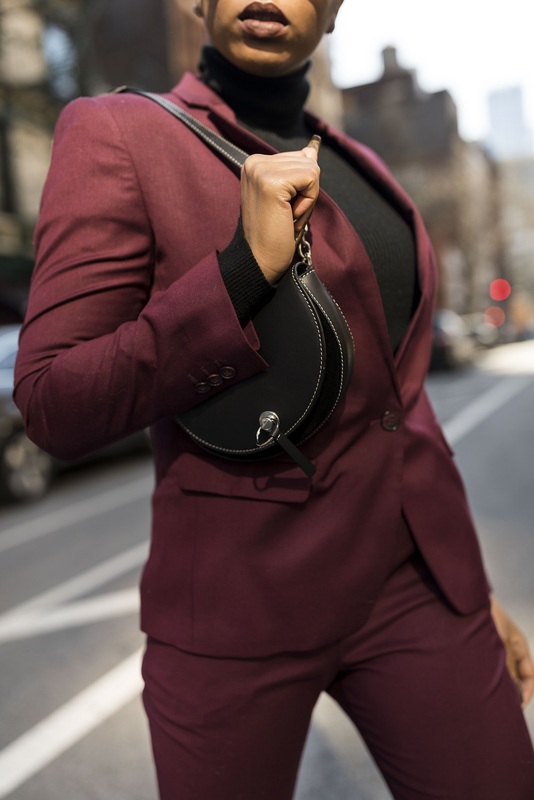 All in all, with a similarly toned bag to complete the look accompanied by a bold dark lip, I felt pretty freakin’ chic and was ready to take on whatever came my way! 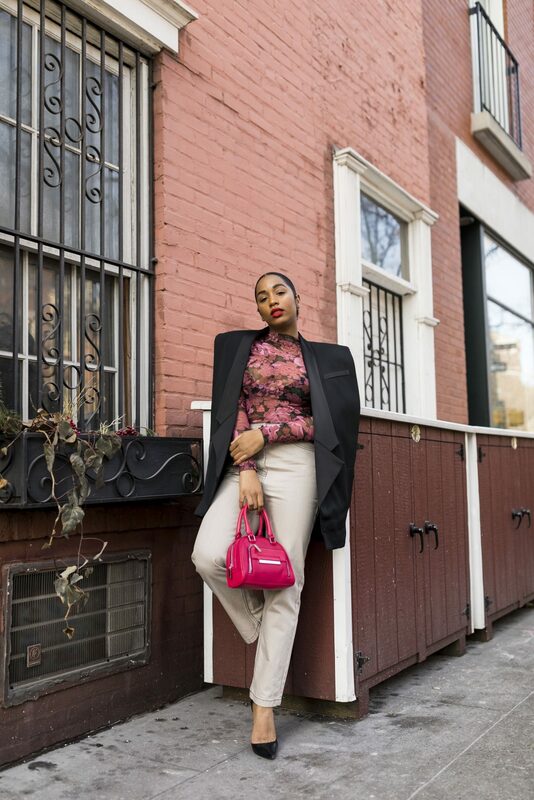 Three words: burgundy boss babe! 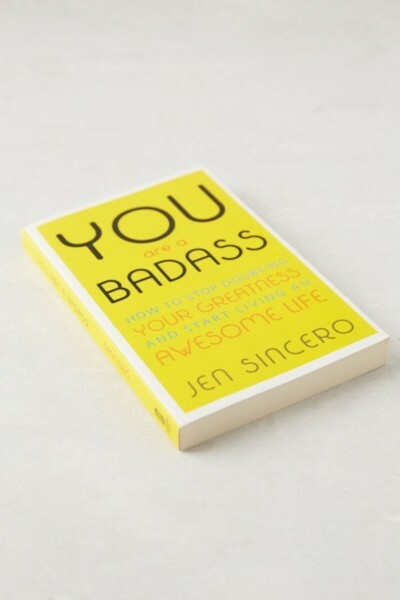 For day four, I totally channeled my inner Miranda Priestly and felt like the fiercest woman on the planet! 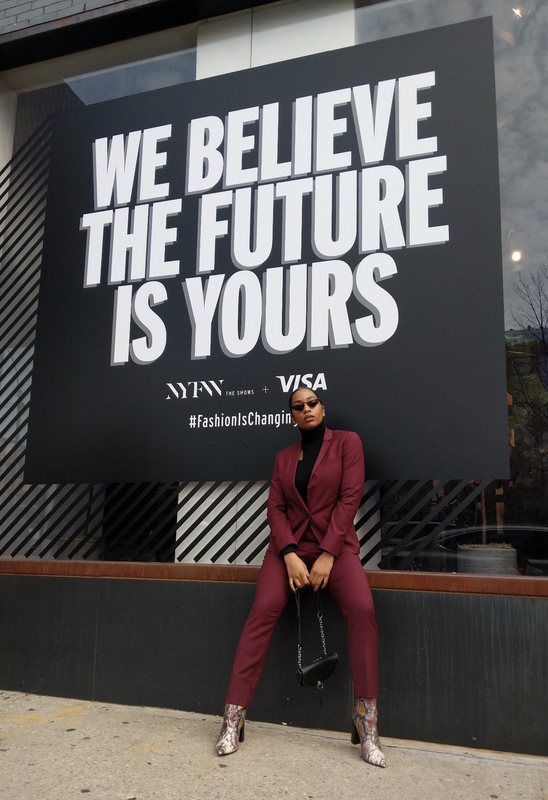 It’s no secret that blazers, suits, and co-ords have slowly begun taking over my wardrobe; however, this was my first and will forever be a favorite. 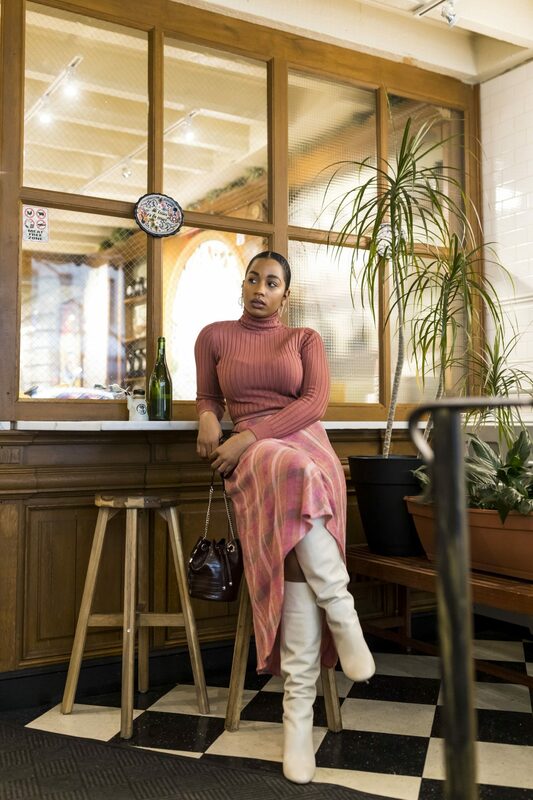 To keep all of the attention on these beautiful wine-colored pieces, I kept it simple with a black cut-out turtleneck (yes, another one) underneath, and for a pop of interest, my new snake print boots which incorporate the same colors. 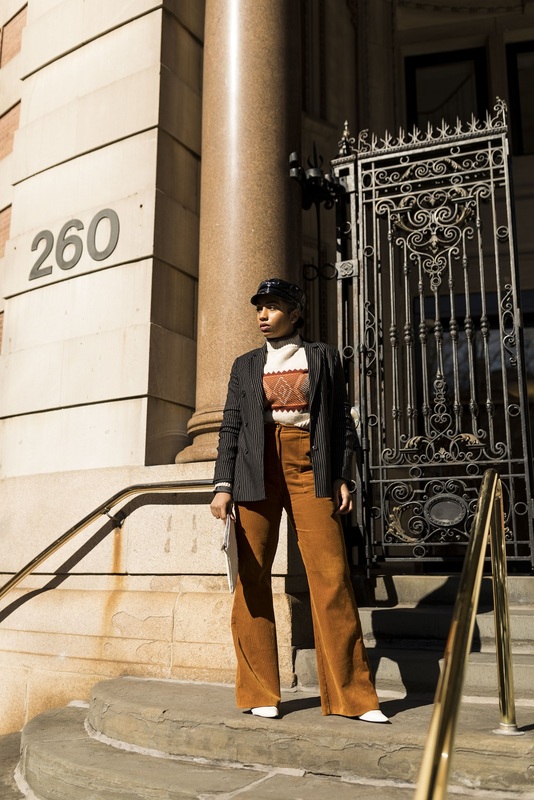 I wouldn’t say any of my looks were necessarily hard to style, but this one definitely came together the fastest and brought out an essence of sophistication I don’t think any of my other outfits conveyed. As the week was beginning to wind down, comfort became my top priority so I thought it was time to finally bring out some denim! I definitely wanted to style a more casual look, but with a few hints of glam for a bit of contrast. 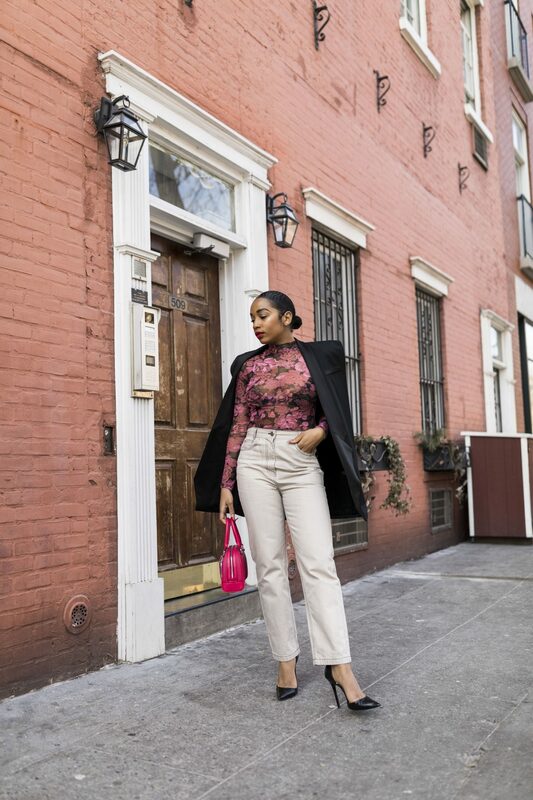 One can never go wrong with a t-shirt and jeans, but I chose to add a lace top underneath for an unexpected feminine touch. 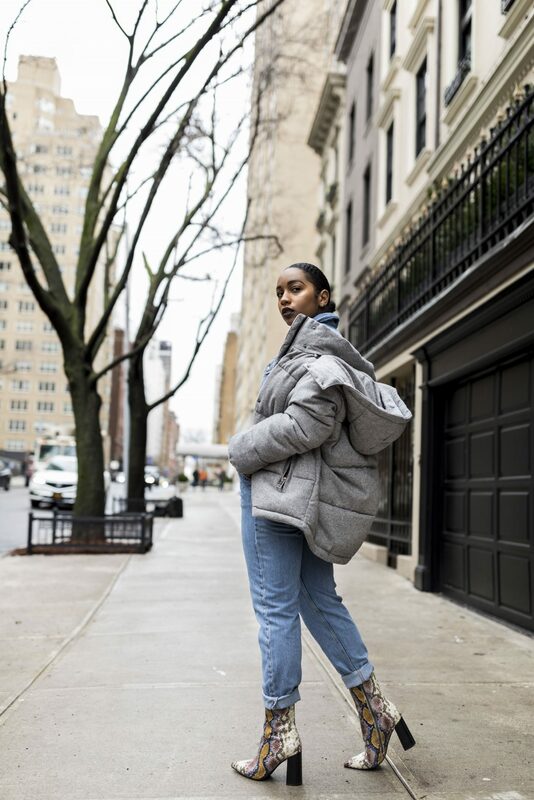 To highlight the red in the graphics on my shirt, I decided to throw on my velvet booties and finish off the look with my grey puffer jacket. 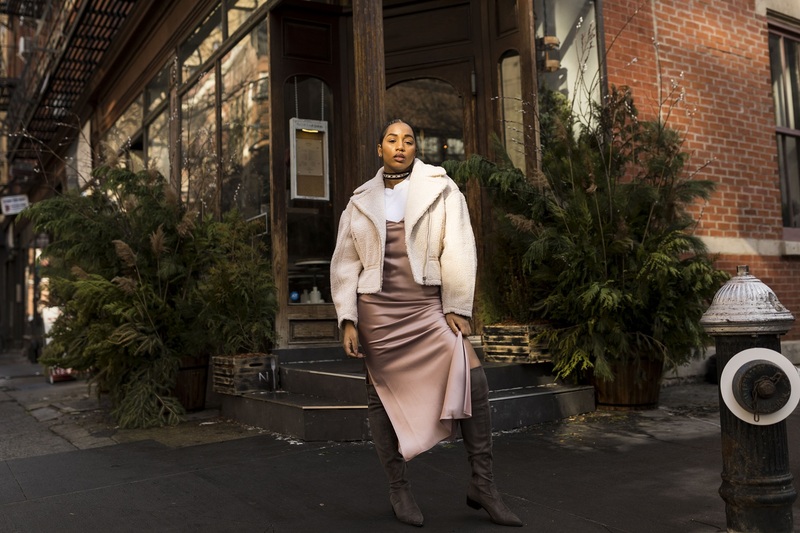 Because this is such a bulky piece of outerwear, wearing it open helped to balance the overall look without overpowering it. For an extra bit of glitz, I decided on my chandelier earrings (which I wore on NYE), and my everyday black cross-body bag with silver ring accents to tie everything together. Last but certainly not least, my sixth and final look of the week featured some bright color blocking and my usual texture mash-ups! 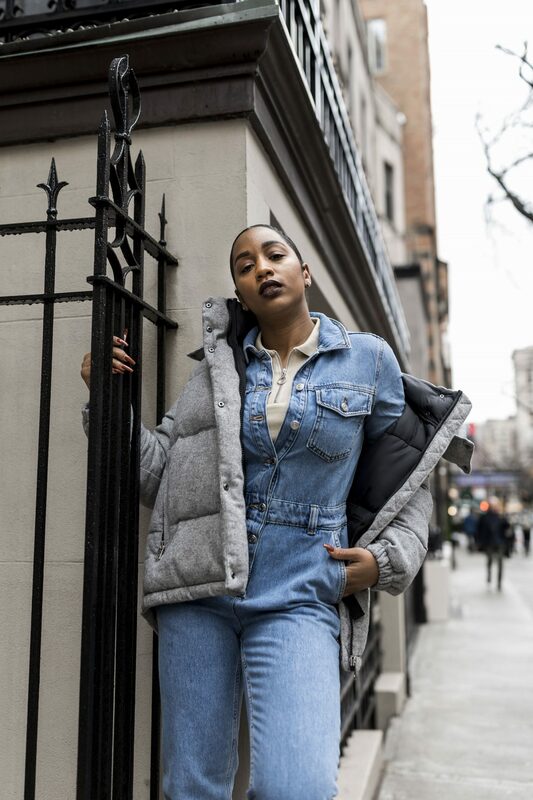 I could not close out NYFW without showcasing my latest outerwear obsession, so it was important that I style this look around my new cropped shearling jacket. Following the layering theme of this week, I wore two turtleneck sweaters, both in bright shades which gave a vibrant Spring-like feel. 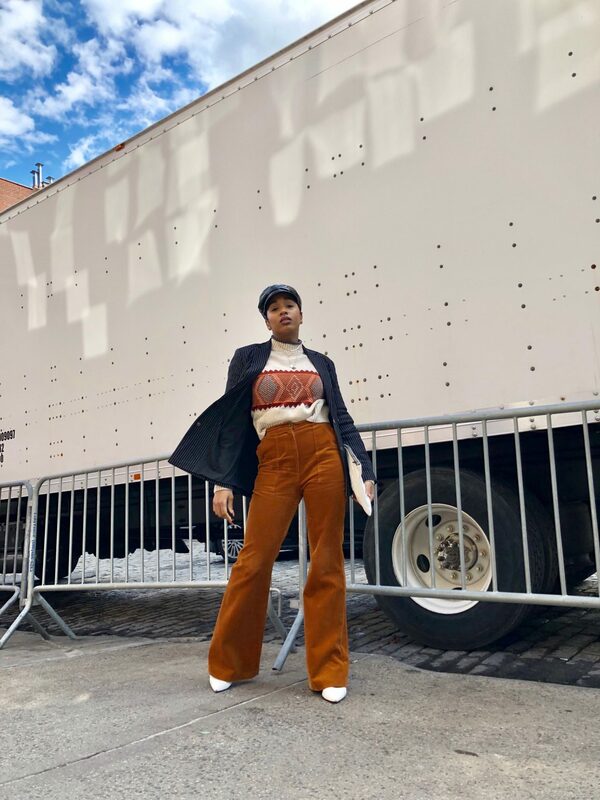 I thought that the juxtaposition of these pieces against leather would also be quite intriguing so I threw on my paper-bag waist trousers to give a more edgy and structured feel to the outfit. I completed this look simply with a black pair of booties and small vintage looking frames. 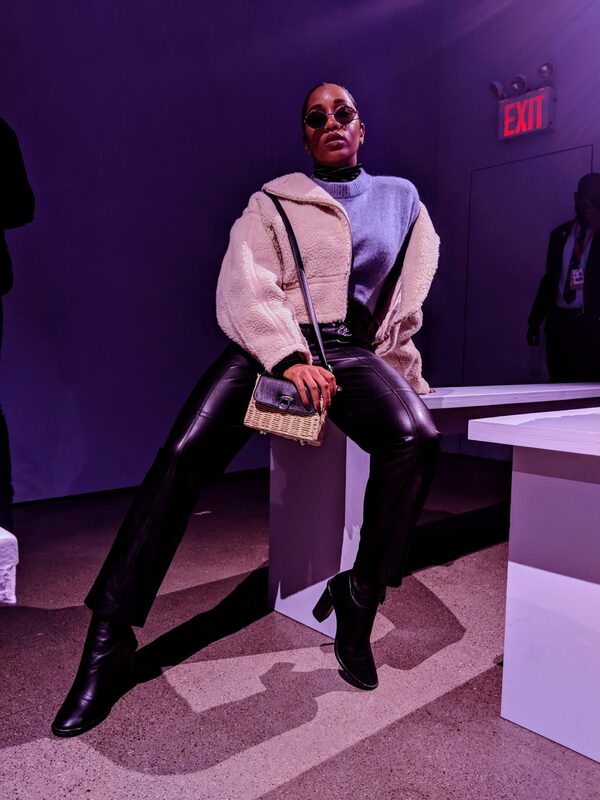 In efforts to seamlessly blend both upper and lower halves of this look, I grabbed my straw and leather cross-body to pull everything together. I was thrilled with how each of my looks turned out and quite proud of myself for not choosing to borrow items or spend additional money for new pieces. 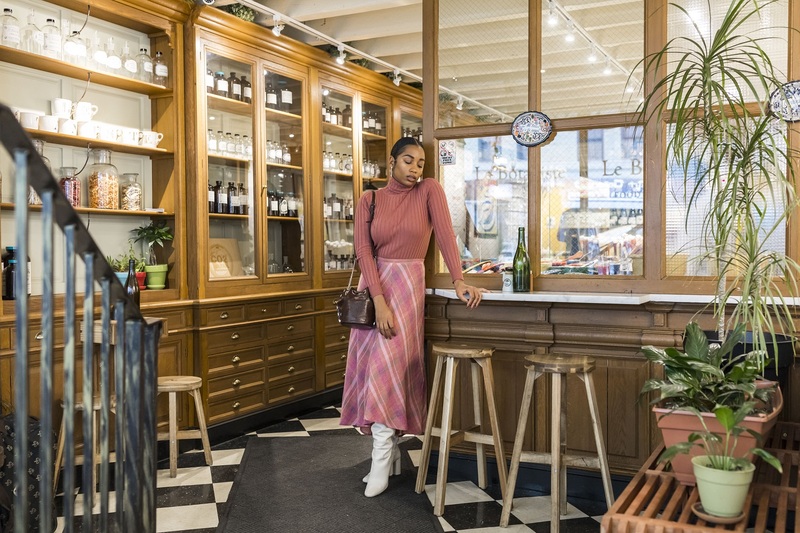 Aside from showcasing my personal style, I think it’s also important to show how older or current pieces can be remixed and incorporated into your day to day wardrobe, regardless of whether it’s a special occasion or not. 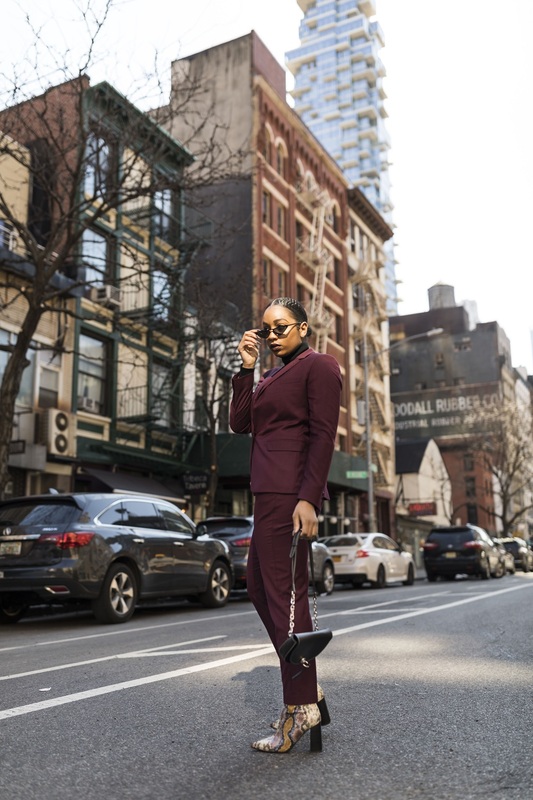 I really hope you guys liked seeing what I styled this fashion week season, and please let me know your favorite look in the comments below. Until next time! For the second look of my Valentine’s Day miniseries, I decided to go a bit edgier. 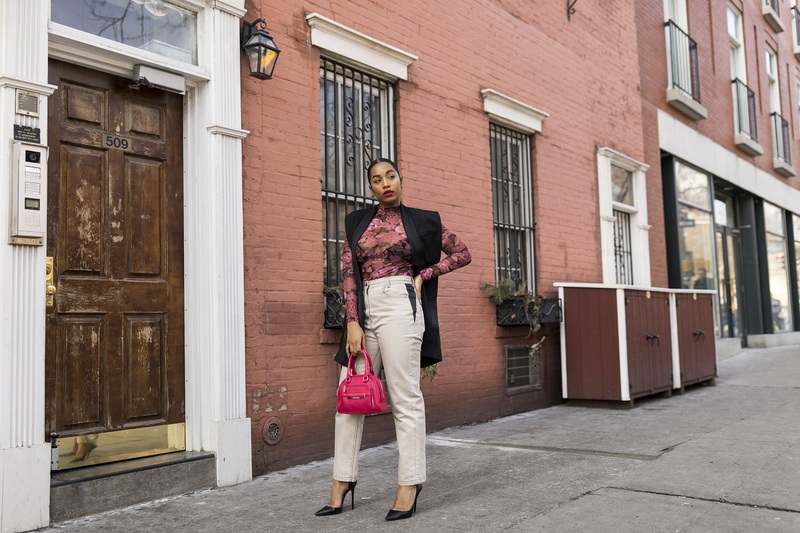 While my previous blog post featured a look that was more sweet and demure, I wanted to style another that was appropriate for a chic girl’s night out. Again, in efforts to find pieces that were less blatantly geared towards the upcoming holiday celebrations, I had to be a bit more strategic with the items I gravitated towards. 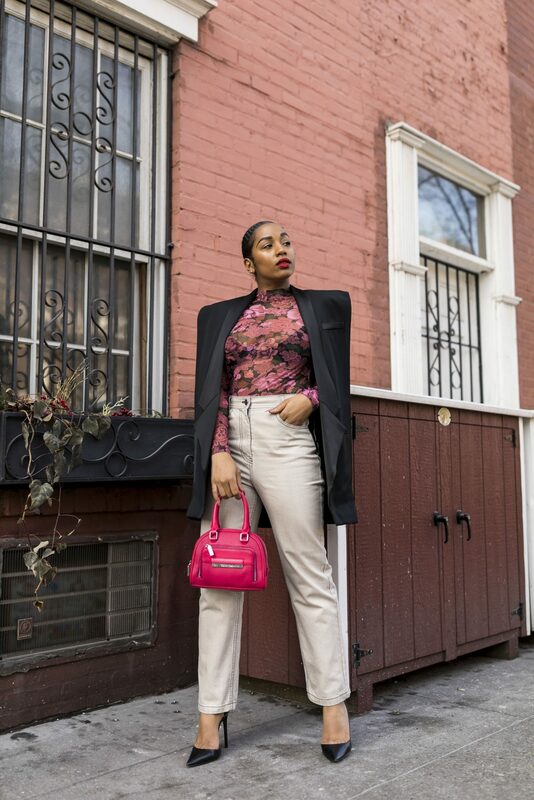 It wasn’t long however before I saw this floral mesh top, and while I was hesitant at first due to the vibrant colors, I was confident that I could make it work. I immediately decided that this sheer beauty would be the focal point of the look and thus, chose to keep the rest of the pieces neutral. 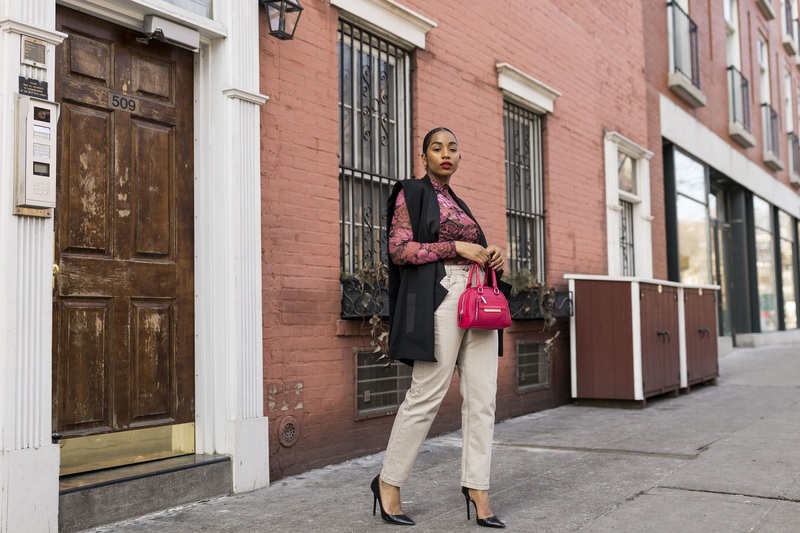 I recently purchased this pair of trousers in a light taupe wash with leather side panels and thought they would create an interesting juxtaposition against the bold print. 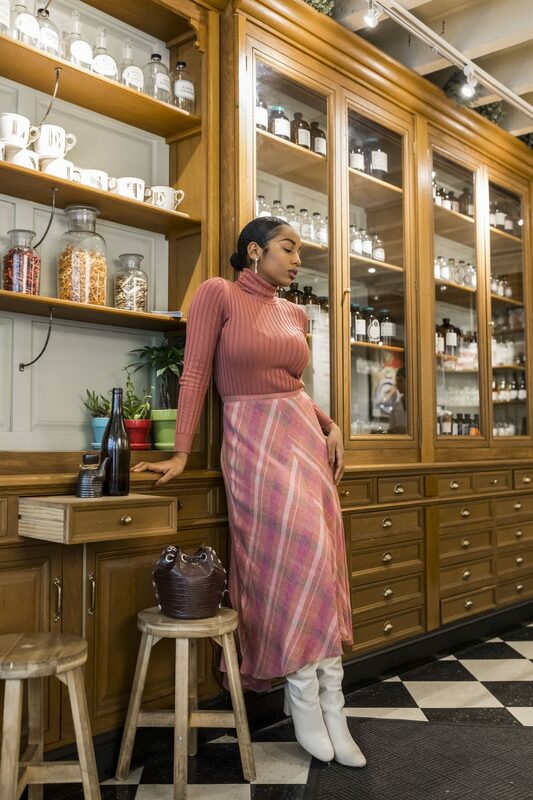 One thing I like about these types of ensembles is that while they are simple, the garments themselves are so eye-catching you literally look put together without even trying! To keep everything cohesive, classic black pumps seemed like the easiest route to go in terms of footwear. 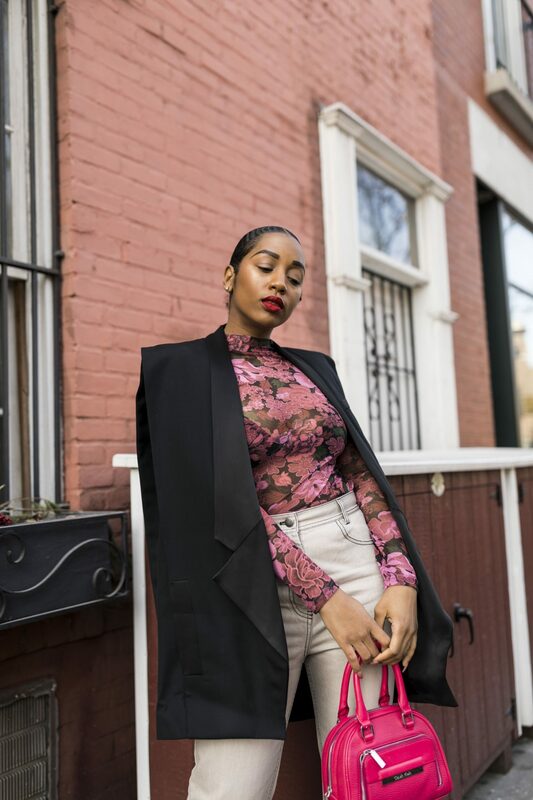 In efforts to keep things streamlined, I also pulled out one of my archive pieces; an over-sized tailored vest from an exclusive collection that launched a few years back. 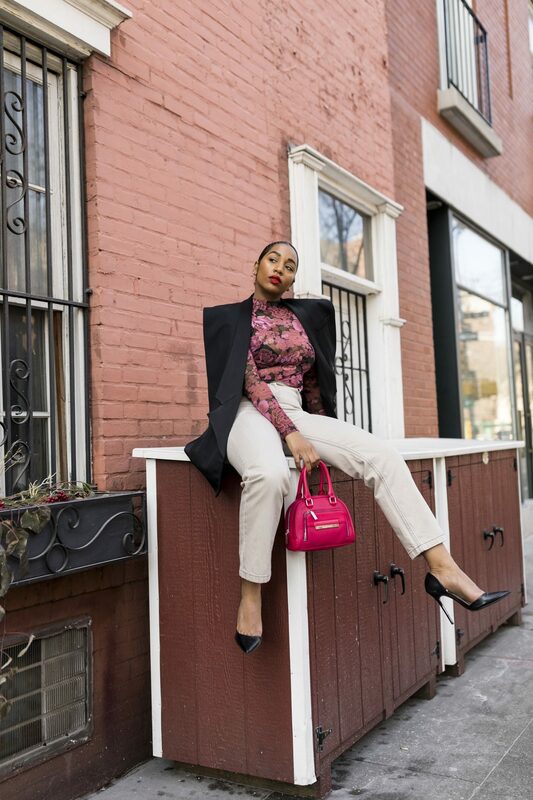 Though my look was nearly complete, I couldn’t help but add a few more pops of color with a hot pink handbag and a bright red lip. I’ve always loved the mixture of classic and casual elements and fully embrace how these types of contrasts continue to shape my style. So, with that being said, what will you be wearing this Valentine’s Day? Comment below and whatever you’re doing, whether single, out with friends, or a loved one, make sure to stay lighthearted and enjoy yourself! Until next time! I’m not sure what has gotten into me lately, but blush tones have really been tickling my fancy more than ever before. That being said, due to a certain hallmark holiday also creeping up on us, I’ve decided to embrace the feminine hues this month as it seems rather fitting. 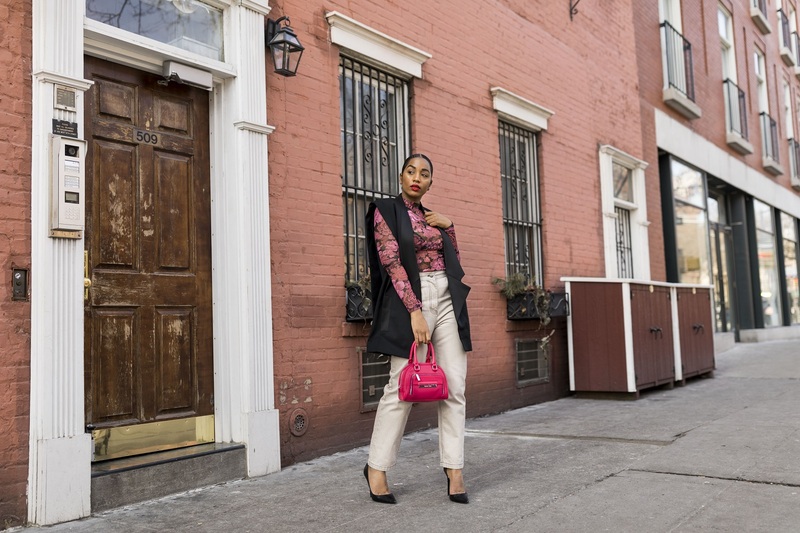 While my V-day plans are still to be determined, I wanted to try styling a couple looks that conveyed the romantic feel of the 14th, without being entirely predictable. So in efforts to put my own spin on things, it was inevitable that some form of contrast had to come into play. 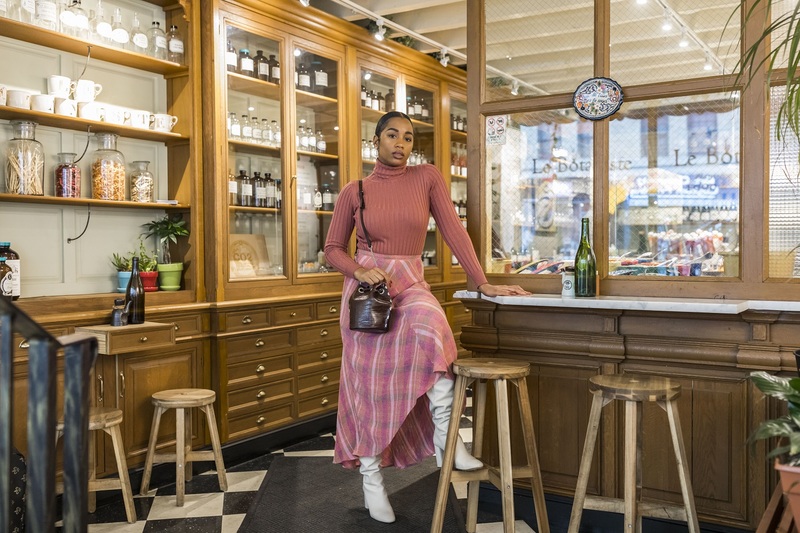 During my shopping trip I was met with the misfortune of being faced with every vibrant red and pink garment imaginable; and while this may have made the task easier for some, I was beginning to get concerned that I would have to leave empty handed. On my last lap around the store however, I noticed a slightly muted mauve toned slip dress that was honestly right up my alley! The gorgeous color paired with the elegant draping of the frock, instantly convinced me that I was moving in the right direction. However, because it was such a dainty piece, I knew I wanted to layer it with a few items that would give it a bit more structure and add some casual elements. After more hours of over-thinking and weighing my style options, I decided to take an understated approach and simply use a crisp white t-shirt as my base. 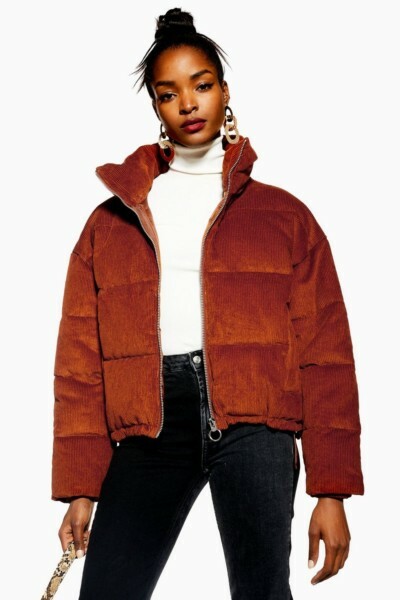 On top of that, I decided to take the plunge and purchase a shearling jacket I had been eyeing for about a month now, and I couldn’t be more obsessed! 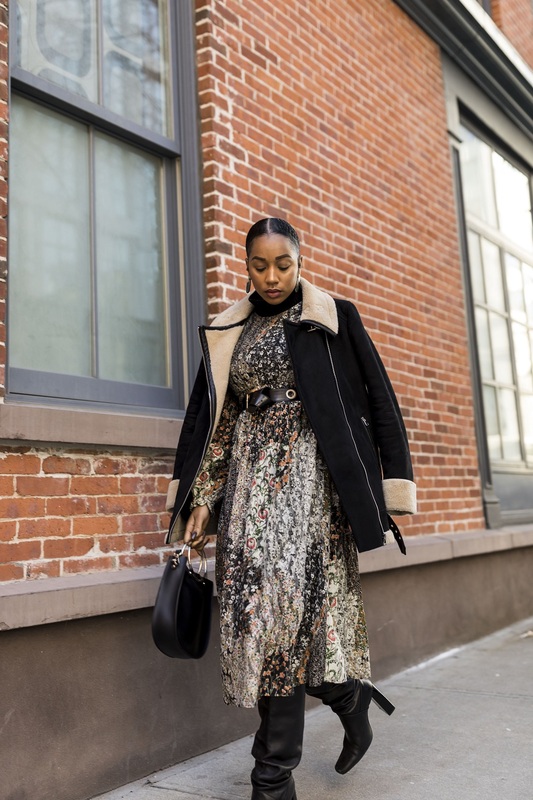 The cut and shape of this stunning piece of outerwear is unlike anything else I own and can easily take me into the upcoming Spring months. 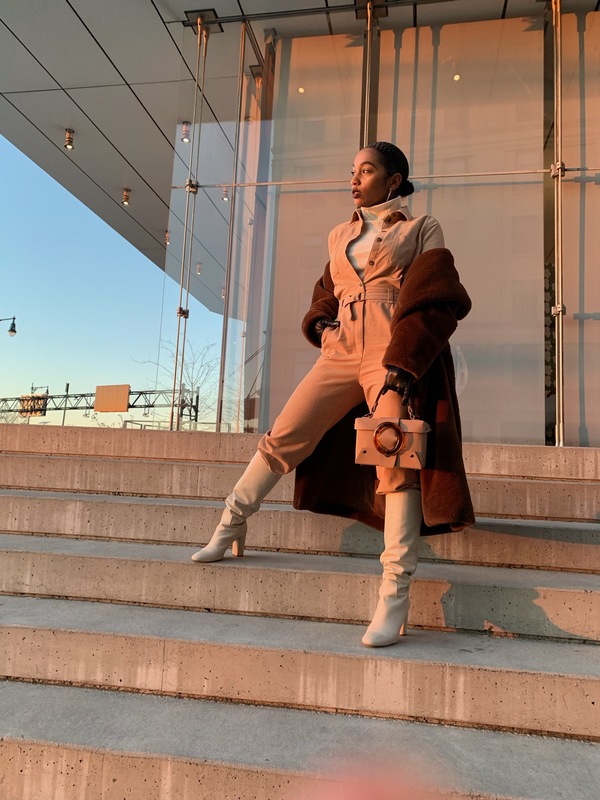 Because the majority of this ensemble consisted of softer tones, I decided to add my grey suede thigh high boots for some added warmth and color richness. 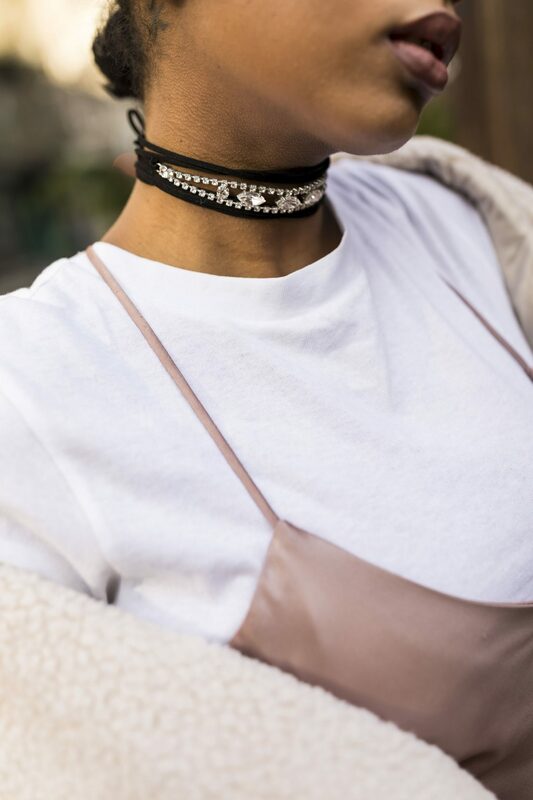 To complete the look, I thought it would be fun to give a nod to my 2015 self and throw on an embellished choker. This necklace alone, with its eye-catching rhinestones and overlapping black tie laces, really helped marry both of the edgy and girly components that made up this look. Let me know in the comments your favorite piece from this outfit and where/if you would wear it to celebrate Valentine’s Day. Until next time! 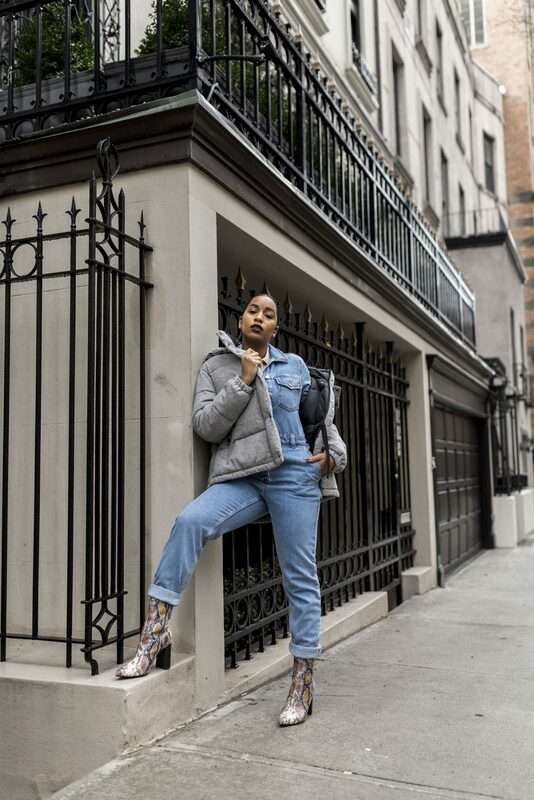 Finding new ways to make a statement with your outfit especially during the Winter season can be quite challenging, and that’s why generally my shoe choices and outerwear tend to become the focal point. 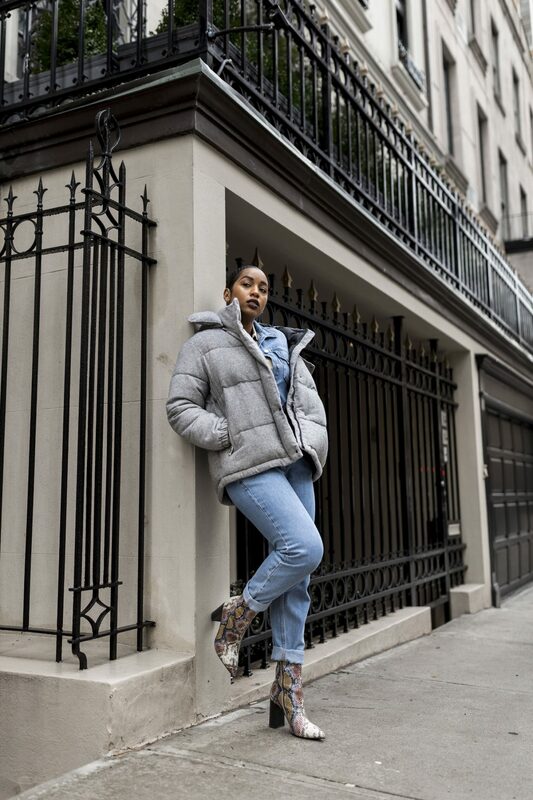 Puffer jackets have always been a practical street style essential, but lately they’ve been popping up on everyone’s “must-haves” list. 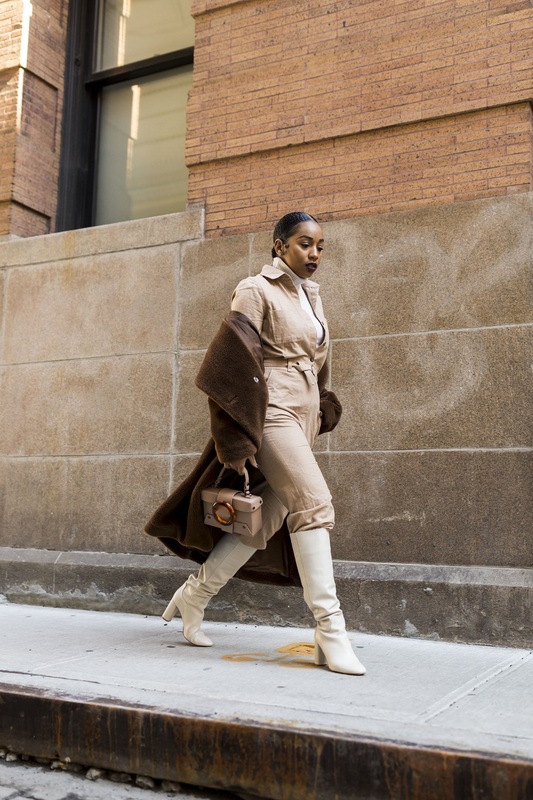 Below I’ve rounded up a few styles that I would totally wear to look stylish while facing the harsh winds and below freezing temperatures. Don’t forget to click the images to shop my picks & until next time! 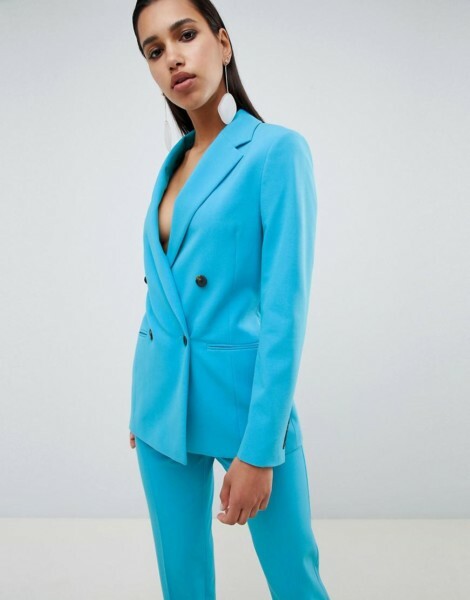 As if I wasn’t obsessed with jumpsuits enough, a new variation has surfaced which has in turn revamped my excitement and need to further add to my collection. 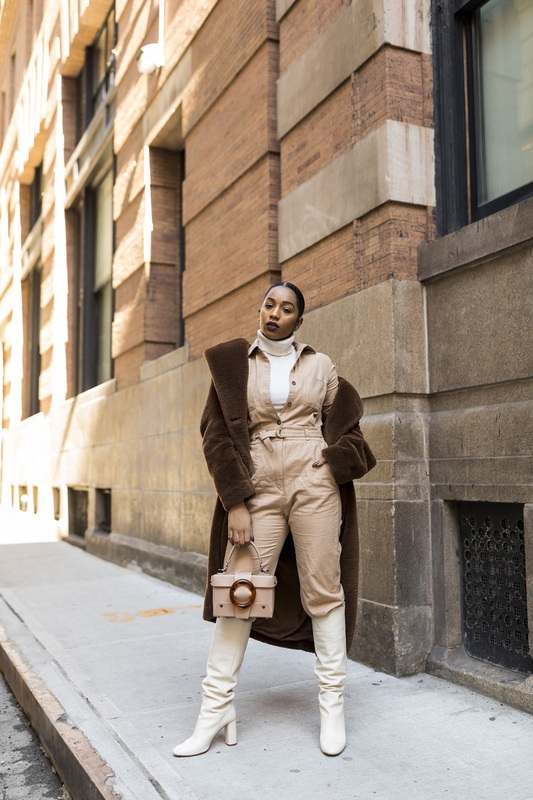 Recently, “boiler suits” have become the new trendiest item in street-style, perfect for giving off all the effortlessly cool vibes we all know and love. 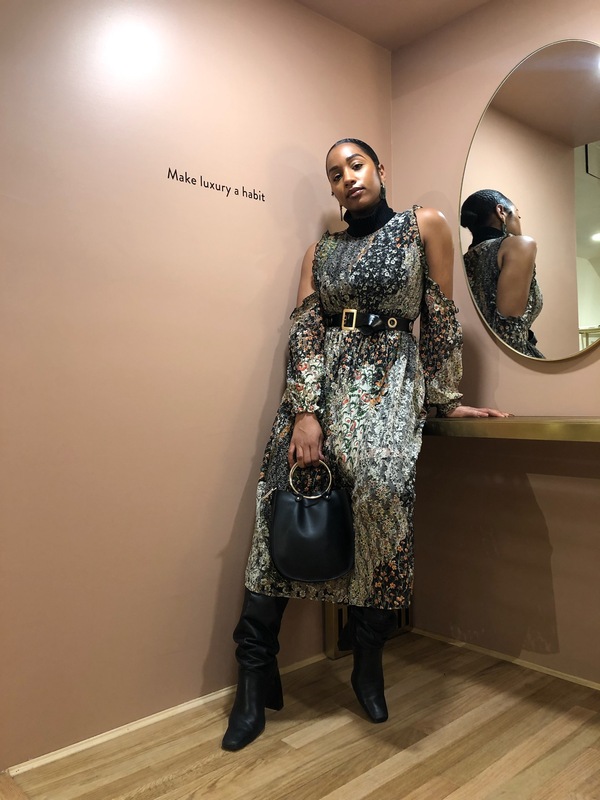 The only difference I’ve seen between this garment and other statement one-pieces, is the casual and relaxed fit coupled with a somewhat utilitarian structure. That being said, they are just as easy to style and are perfect for those on the go days when outfit preparation is not feasible. 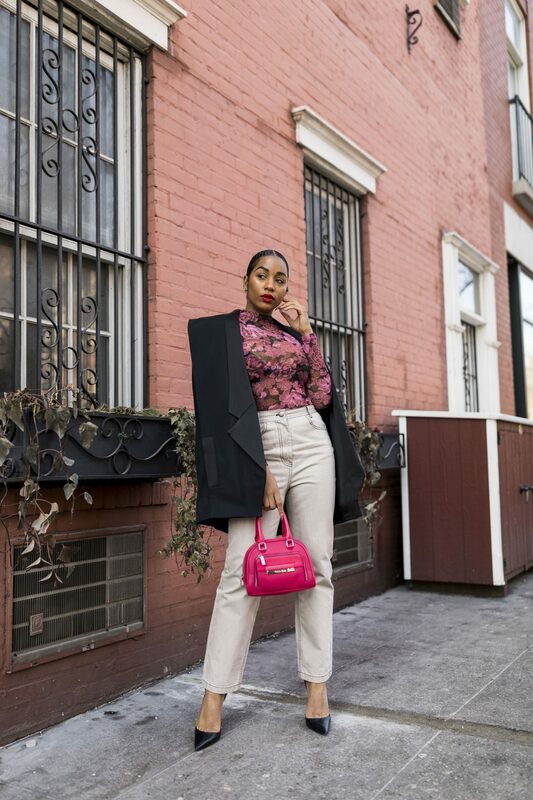 Because pieces like this are essentially an all-in-one outfit, I was faced with the challenge of creating a look that was slightly more interesting than just throwing it on straight from the hanger. To solve this issue, I immediately knew that layering would be my best bet. Though reaching for a turtleneck was my first instinct, I decided to try a different style of top that would still highlight the suit’s design. It didn’t take long before my attention was captured by a neutral colored knit, accented with a zip closure along the neck. Believe it or not, this is my first sweater in this style and I couldn’t help but get a sense of the 70’s after putting it on. 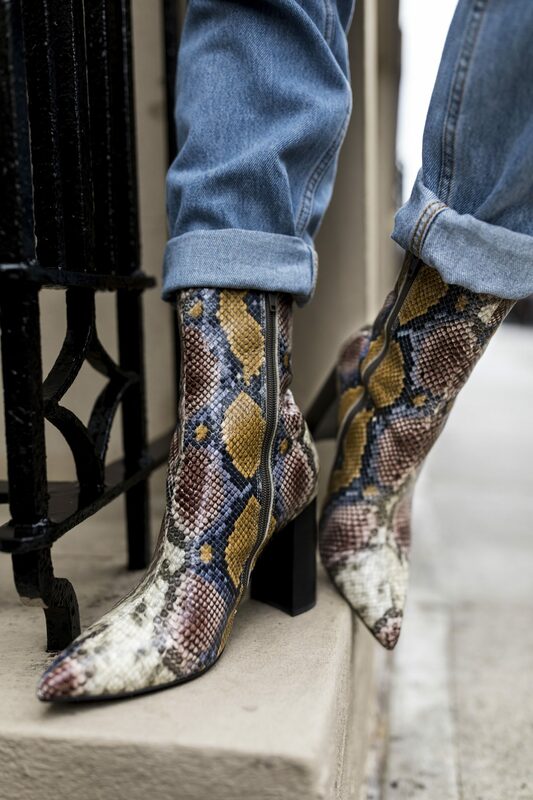 To add a bit more texture, I decided to showcase my new booties in a bold muti-colored snake print. I love these shoes because aside from being complete head turners, they can literally go with anything due to the burgundy, cream, blue, and grey tones throughout the pattern. At this point, while my look was nearly complete, I still felt like something was missing. 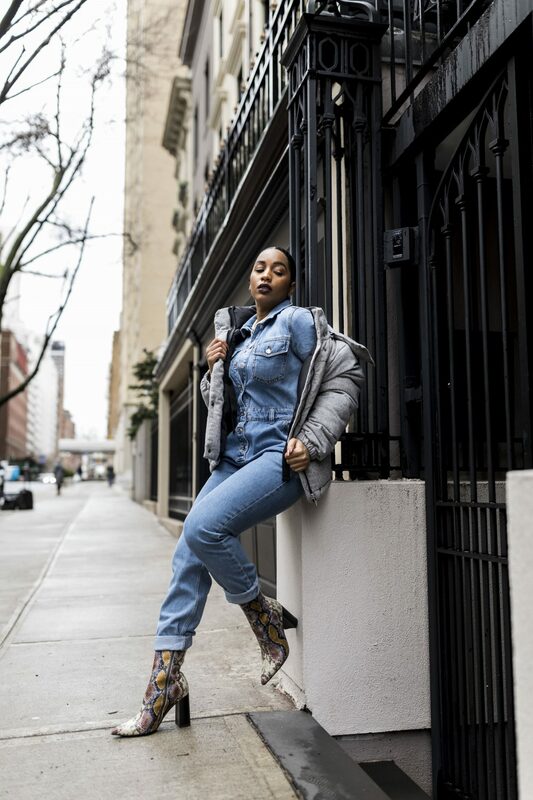 Outwear isn’t something I feature often on my blog, but due to the severe temperatures we’ve been facing lately, I felt it was absolutely necessary. 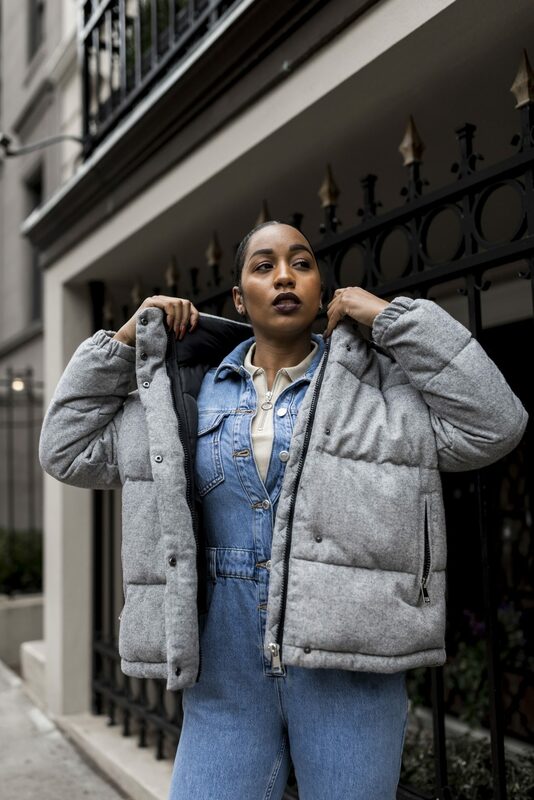 I’ve been on the hunt for a shorter puffer jacket this season and just when I thought I had missed my chance, I stumbled upon this heather grey beauty! Aside from the color, the overall cut, fabric, and style perfectly aligned with the theme of this ensemble in the most practical yet chic way. 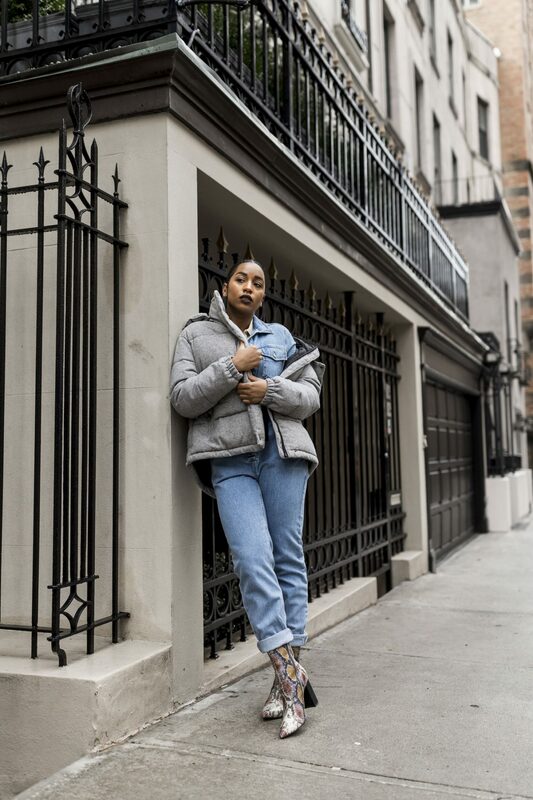 Let me know in the comments your favorite piece(s) from this look and what staple items you’ve been reaching for to brave this 2019 Winter. Until next time! 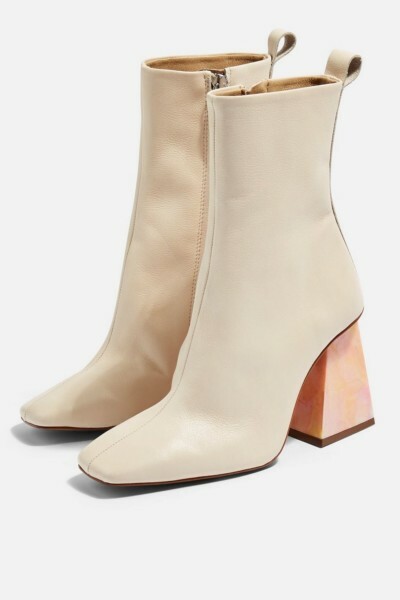 White boots have been a major trend for the past few seasons and while I am a fan, sometimes the starkness of the contrast can come off a bit harsh for certain looks. Luckily, there’s a new alternative that I’ve grown to love just as much! Cream or neutral toned footwear can serve the same purpose of brightening up any ensemble, but in a slightly more subtle way. 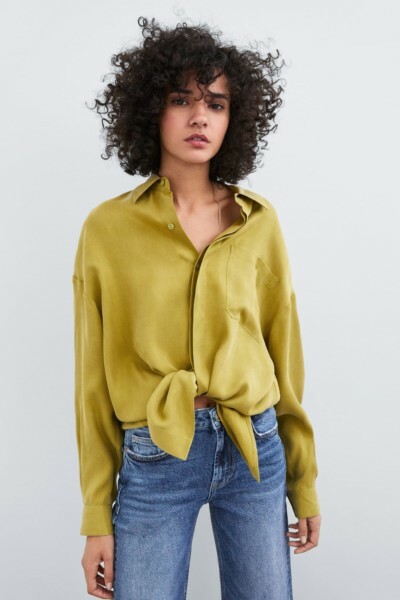 I also feel like they are a lot more complimentary of other colors and versatile, whether you’re styling a monochromatic look or something more vibrant. Check out the options I’ve rounded up below and don’t forget to click the images to shop my picks! Also comment below if you’re a fan of this trend and how you would wear it. Until next time! In the spirit of taking on new challenges in 2019, I ended up styling a look that I honestly shocked myself with. While it wasn’t the garments that were outside of my comfort zone, but the COLOR that truly made me think twice about a few of my life choices (dramatic I know). If anyone knows me, it’s no secret that I’m not a “pink” type of chick. 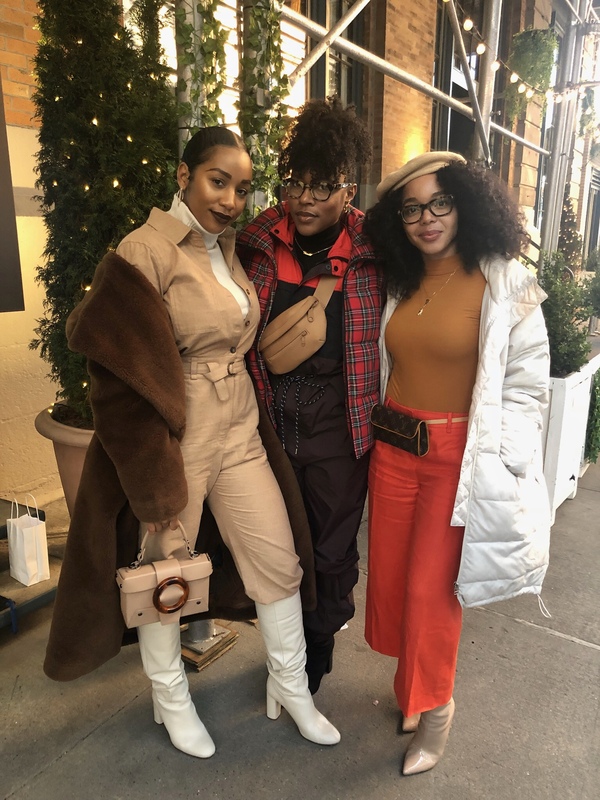 That being said, coming up with new ways to wear the same black, white, and grey pieces during the Winter season can get a bit stale. 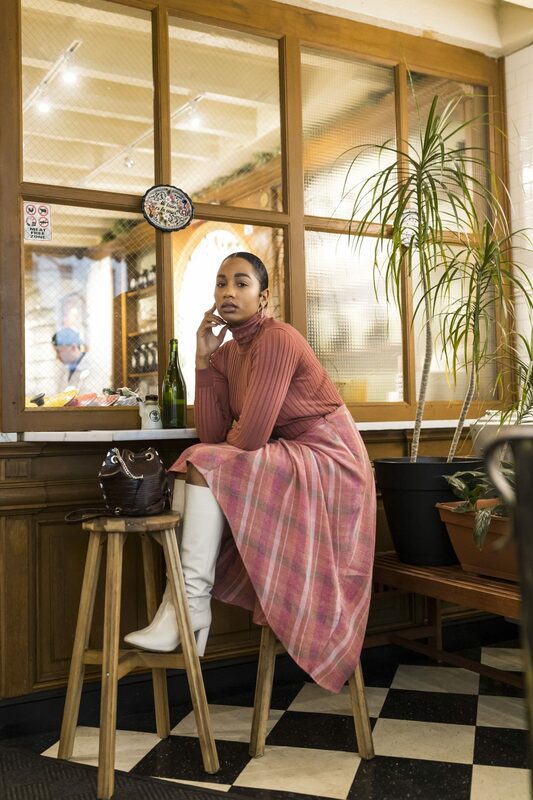 I’ve had this salmon colored ribbed turtleneck for quite some time and simply thought of it as another basic piece to layer with when I wanted to add a pop of color to my ensemble. 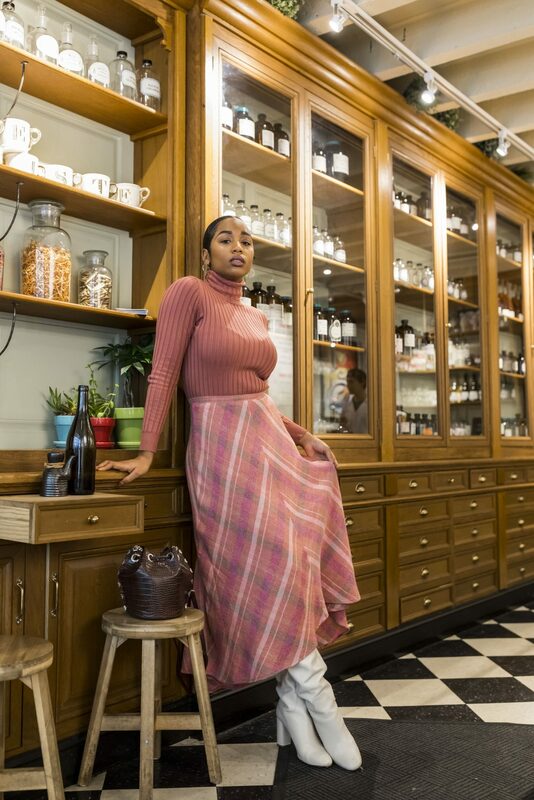 During a recent shopping trip however, I stumbled upon this plaid midi-skirt with a variety of similar shades, in addition to stripes of blush, and white. 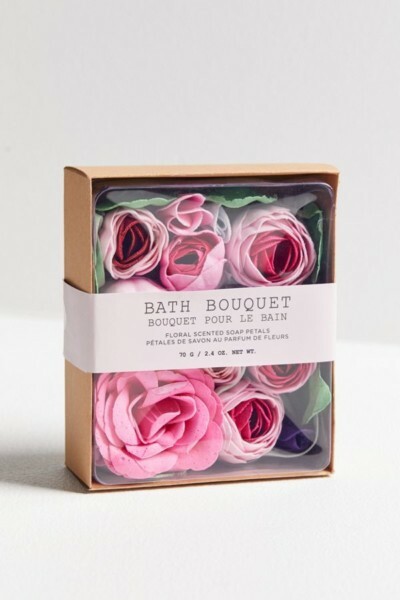 I couldn’t help but pick it up, as it was definitely striking, but I wasn’t exactly sure if it was “me.” After doing a few more laps and even leaving the store, I eventually decided to commit to the rosy garment hoping all would work out. It wasn’t until I got home and began rummaging through my drawers that I saw the outfit coming together right before my eyes! In all honesty, I thought it was a risky move to pair the skirt with a top of essentially the same tone, but the monochromatic lover in me was all for it! 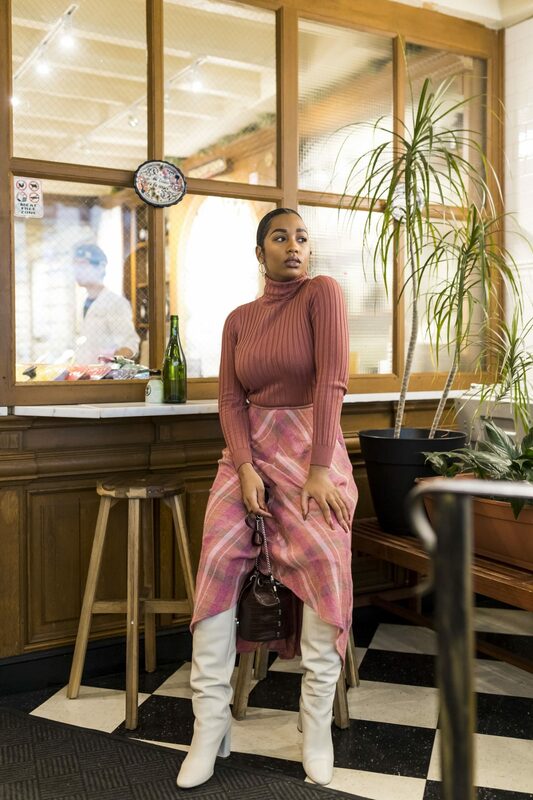 By this point I was sold on the vision and decided to play off of the plaid pattern further by incorporating my cream calf boots, which I had been itching to style for what has felt like decades! 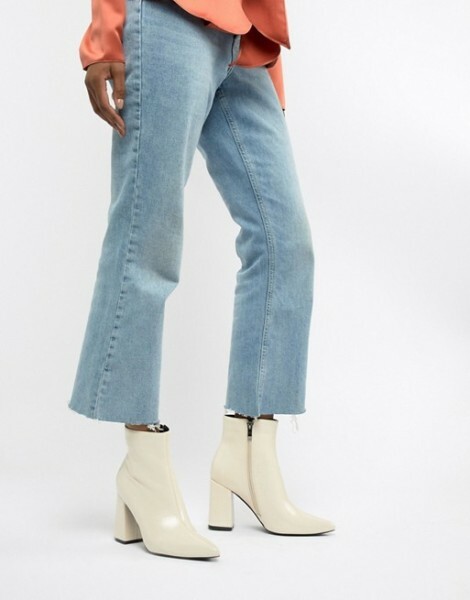 The shoes definitely gave a nod to the chicness of the 60’s and helped tie everything together in the most perfect way. Lastly, I wanted to add a bag as a final touch; however, because I was working with a fairly light color palette, I didn’t want anything that would appear too harsh. 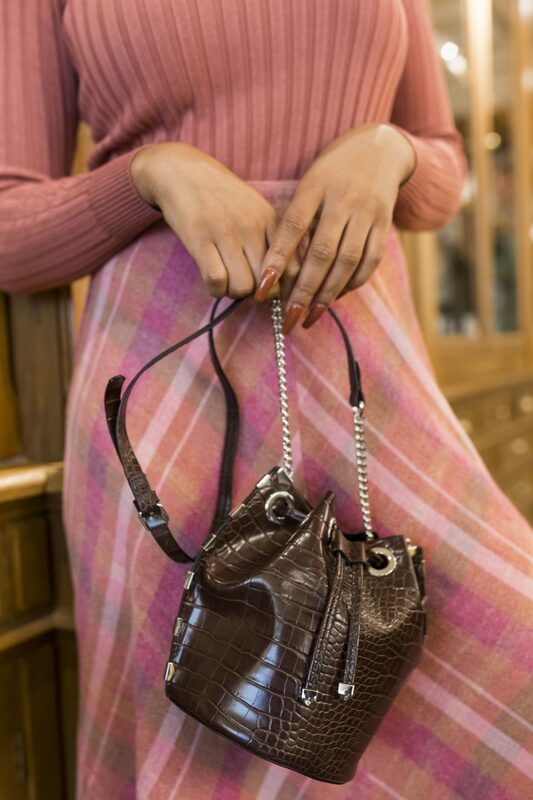 As a compromise, I decided on a brown bucket bag with crocodile embossed leather. To compliment the silver accents, I threw on my favorite pair of geometric earrings and was ready to go! 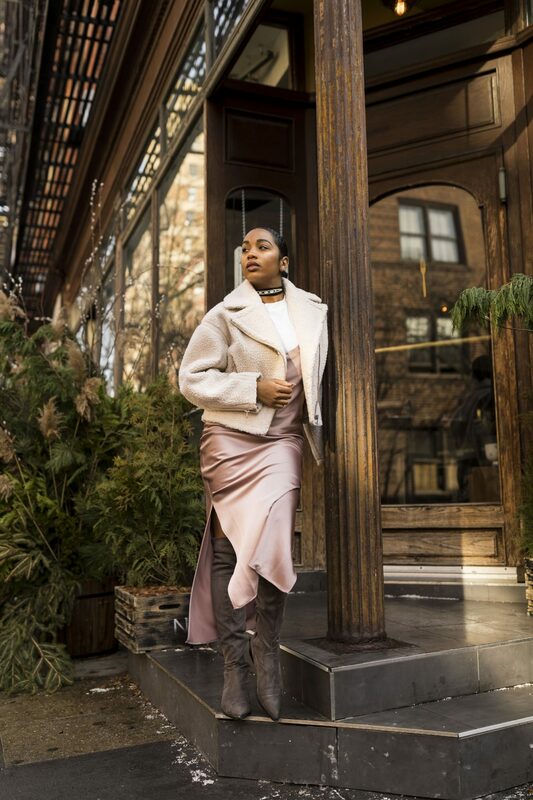 Comment below your favorite garment from this look and how you keep your Winter style fun and fresh. Until next time!